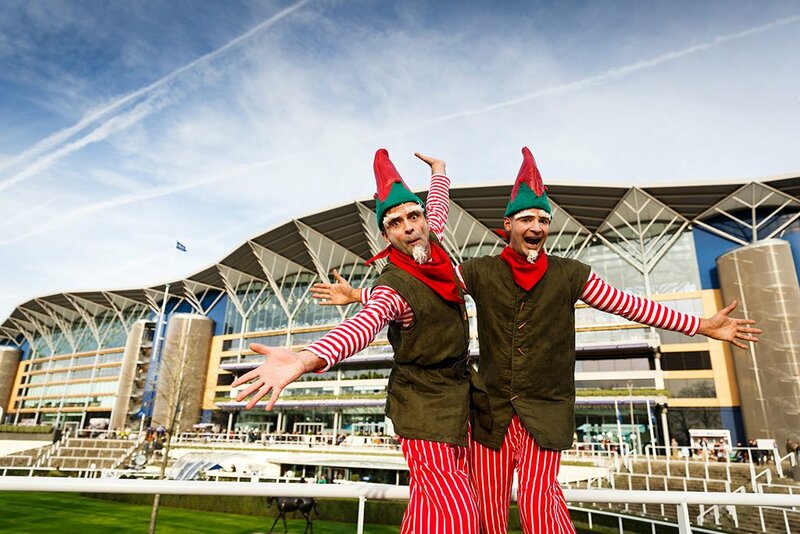 Head to Ascot racecourse on Saturday, as families are invited to celebrate the festive season, together with world-class horse racing and plenty of seasonal cheer, just three days before Christmas Day. On the track, highlights are two £150,000 races; the ultra-competitive Wessex Youth Trust Handicap Hurdle and the Grade 1 JLT Long Walk Hurdle – one of the most prestigious long- distance hurdle races in Britain. 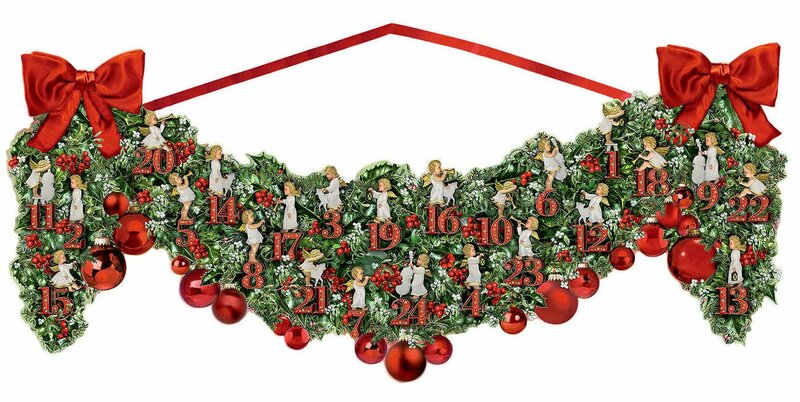 Punters could be in with the chance to earn an extra Christmas bonus with the many high-class supporting races throughout the day. As usual under 18s go FREE! Accompanied by love songs, the theme for this year’s show is love. If the crowds are off-putting, head to Bears Ice Cream on Goldhawk Road. 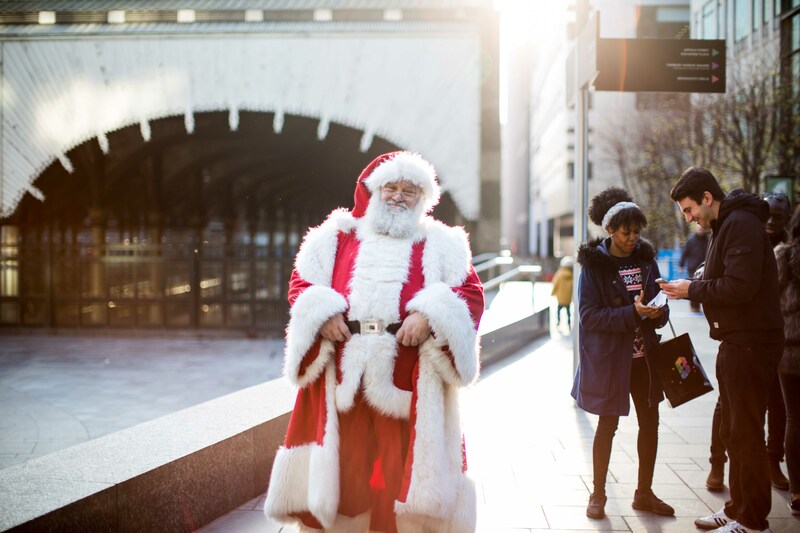 As well as signature Icelandic style soft serve ice cream, there will be hot chocolate, mulled wine and a Chilly Katz pop-up – gourmet hot dogs to you and me. This has been tried and tested by City Kids and very much approved! An earlier display for families and small children and one later for adults means everyone’s happy! Tradition on show here at Barnes Sports Club with a Guy competition, bonfire and plenty of food and mulled wine. With a 90s theme (dressing up desirable) at Richmond Athletic Ground, there’s also food, a funfair, live entertainment and bars open until 11pm. 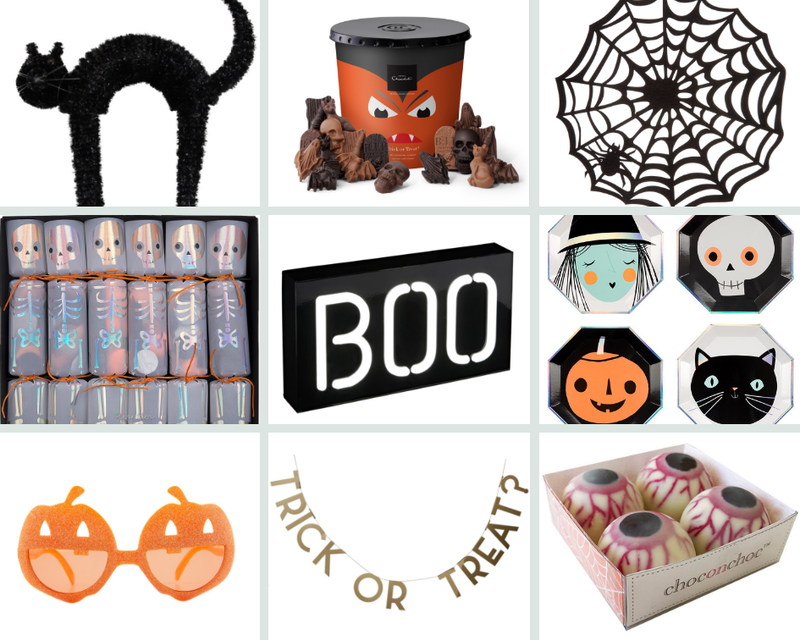 Decorations, costumes, tricks and treats. 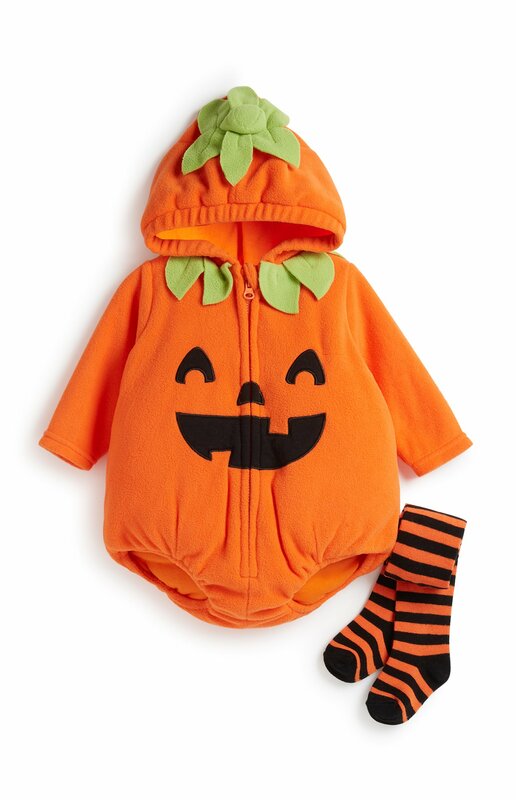 We’ve found everything you could possibly need to make your little ghouls grin this Halloween. With Halloween round the corner there are plenty of ghoulish fun to be had, but if that’s not your thing, then there’s lots more to do in and out of the city. After a flood in May, the Museum is re-opening for October half term, offering a week brimful of Twits’ Tricks and Matilda Magic, including Twizzling Tricks for Budding Illustrators, Wonka’s Wondercrump Contraptions, Twits’ Disgusterous Dinner Plates, Wigglish Witches’ Masks, and Crodswoggling Clay Critters. 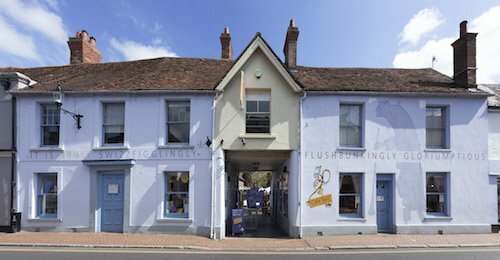 There are also guided walks which give an insight into Dahl’s life and daily routine in Great Missenden. 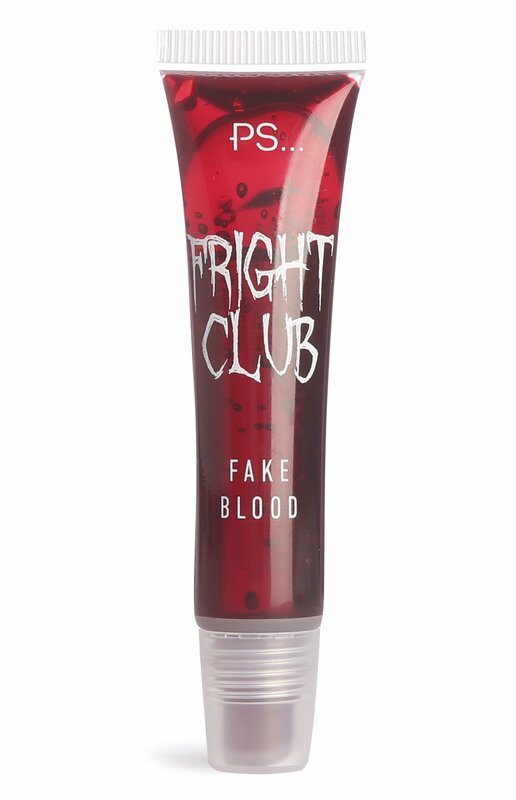 Aimed at 5-12 year olds. 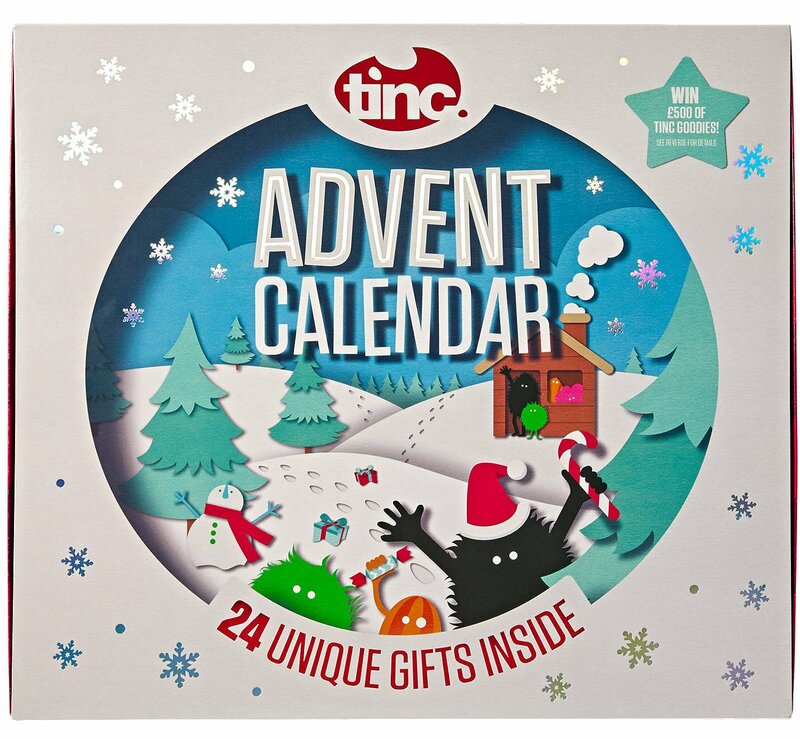 If this is usually a Christmas activity for you and the family, then it will have come a bit early. 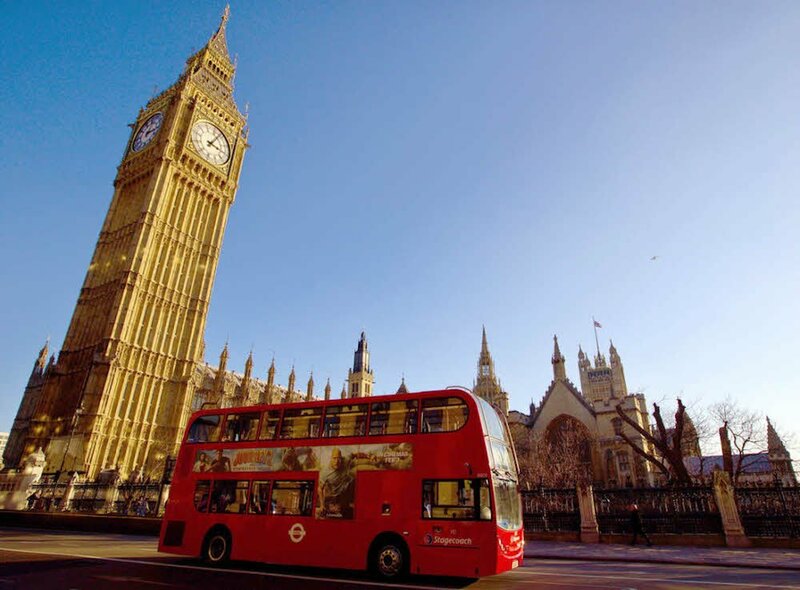 But from 25th you can skate outside one of London’s most iconic landmarks. This is the V&A Museum of Childhood’s first major exhibition to focus on fictional pirates in popular culture including Captain Pugwash and Captain Cook. Visitors have the chance to walk the plank, discover a treasure island as well as a large scale pirate ship. Dressing up and singing sea shanties is positively encouraged. Head to The Puppet Barge in Little Venice for these unique performances. 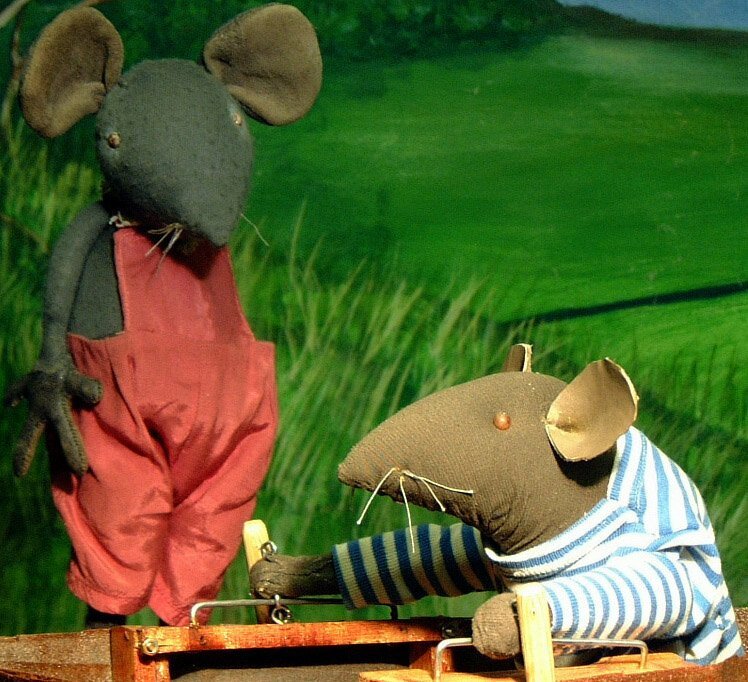 The story’s told using rod puppets, music and sing-alongs. Kew teams up with Theatre-Rites to bring the story of the Temperate House and plants to life through a theatrical experience using live music, puppetry and performance. Creatively themed coding camps run all week at various locations, with pick-ups in some areas. 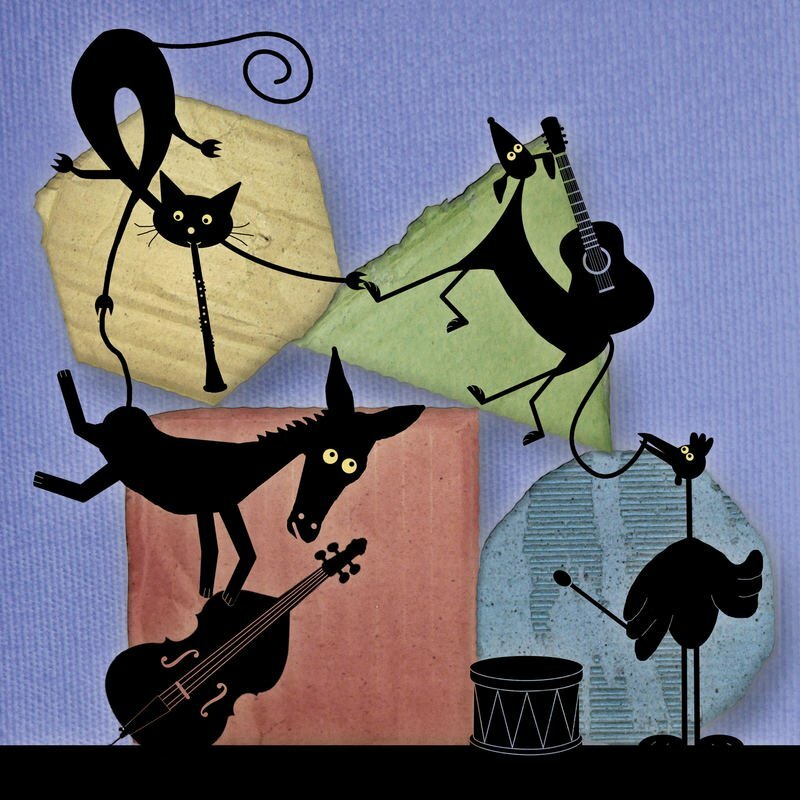 This visually stunning adaptation from French company, Compagnie Animotion, for 3 to 10 years and their families, tells the tale of four animals put to pasture; a donkey, a cat, a cockerel and a dog. Learn about Pre-Raphaelite art and their imaginary & inspiring world from Knights of the Round Table to Sleeping Beauty at Tate Britain. 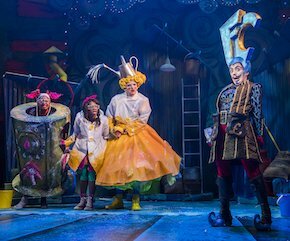 Featuring activities for children as young as 1, this hidden gem in Shepherds Bush will be putting on a Gingerbread Man Storytale, an all-day workshop recreating the musical Wicked!, and hosting a Music and Movement Extravaganza for under threes. 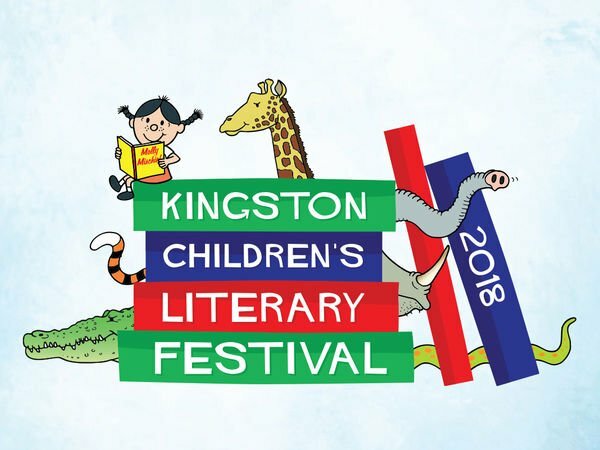 Over three days, kids are invited to attend readings of some of their favourite books, read by some of the authors themselves. Opening the event series is Adam Hargreaves, best known for writing and illustrating the Mr Men and Little Miss books, since taking over from his father and Mr Men creator, Roger Hargreaves. 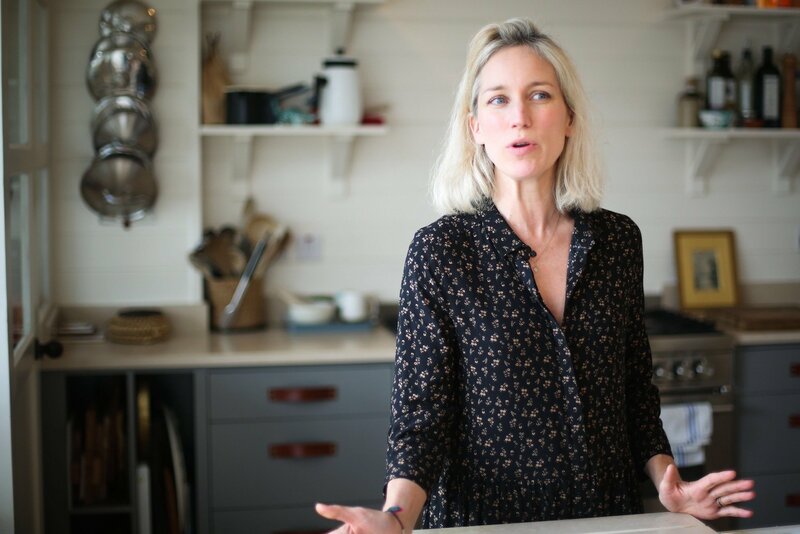 You and your teen can learn a complete menu, and some cookery skills for life, with a spooky touch during a class led by farmer, chef and food campaigner Rachel Green. 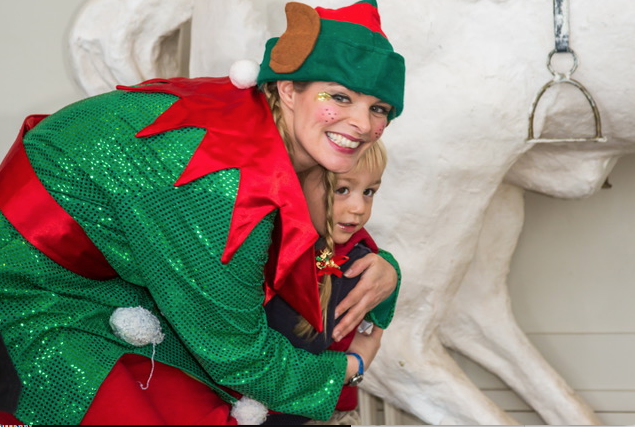 As well as the obvious reference to winter sports, children can enjoy the Kids Arts, Crafts & Entertainment zone in the Neilson’s Lodge where they’ll be joined by Tootles & Nibs for winter sports themed games and activities, a winter selfie station, arts & crafts and face painting. If that’s not enough there’s a climbing wall and Dog sledding. And if you’re sans kids, there’s apres ski fun. Battersea’s where it’s at. 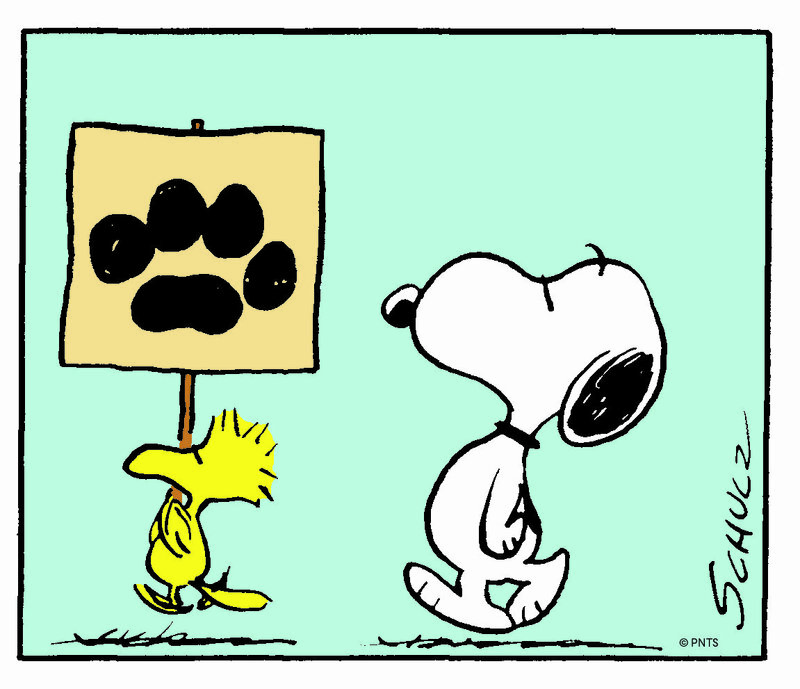 This long-awaited exhibition finally opens at Somerset House celebrating Snoopy and his friends. It brings together work by Charles M. Schulz and artists who have been influenced by this famous comic strip over the years. 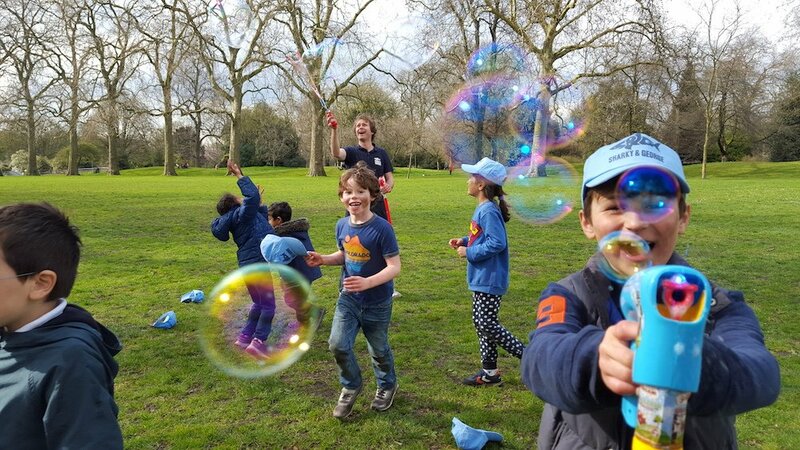 With camps all over London this half-term, why not use our 10% discount and get the kids active this half term. 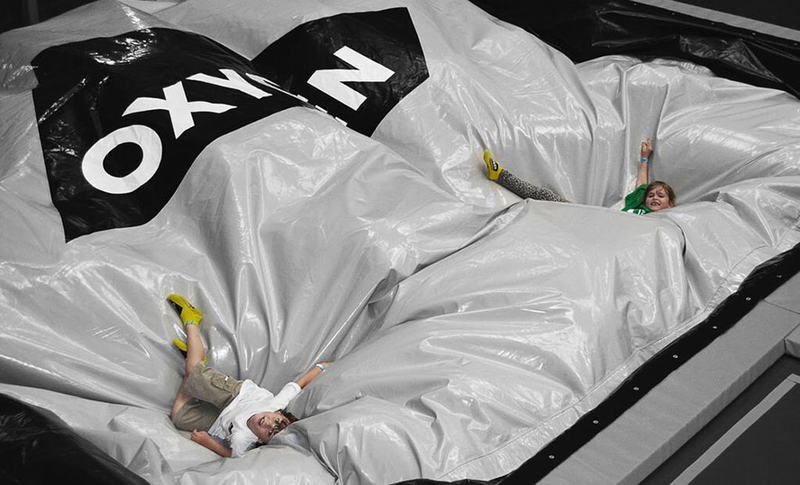 Instead of the kids bouncing off the walls, take them trampolining to burn off some of that excess energy. Using the code CITYKIDS10 will give you 10% off jumping too! Win, win. In celebration of all things spooky, the Museum of London Docklands is opening its doors after dark for Halloween for all families brave enough to spend a night at the museum. Grab a flashlight and tiptoe your way through the museum, before nestling down for the night in the galleries. If you survive, there’ll be a film and some breakfast in the morning. Free for everyone, the market will be putting on arts and crafts throughout the day for young children. 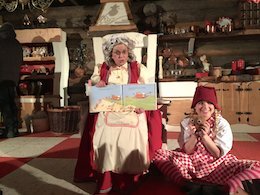 At Bocketts Farm enjoy a spooktacular day out with animal encounters, a reptile roadshow, heated play barn and loads of other seasonal fun. Make no mistake, this is a tennis tournament for different age groups, but dressing up is encouraged and there will be prizes, food and plenty of fun. This event is in addition to the half-term camps running on a daily basis for kids aged four and over. 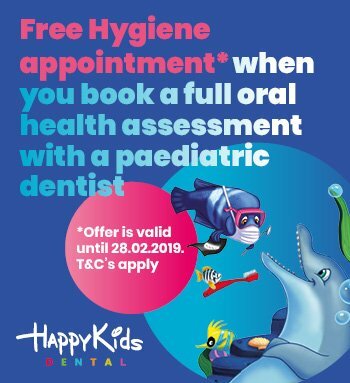 Calling all kids aged 6-12! This is a great opportunity for two days of free coaching by Arsenal FC coaches in West London. Cover-More Travel Insurance and Arsenal FC are providing two days of summer Skills School on 2nd-3rd August at Burlington Danes Academy, White City. Kids will be put through their paces on a programme specially designed by the Arsenal coaches to develop their agility, control, speed and precision. Simon McManus who heads up the Arsenal Soccer Schools programme will lead the Skills School, assisted by Tom Hartley and Scarlett Hanrahan. 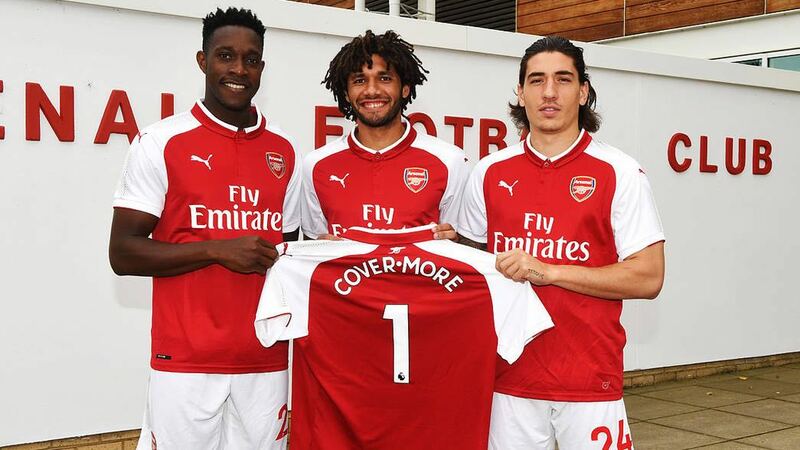 Cover-More, Arsenal’s Official Travel Insurance Partner, will be providing lunch and refreshments, plus a bundle of football goodies including: exclusive Skills School jersey, drawstring bag and water bottle for each child. Note that enthusiasm will be more important than skills level, so all are welcome. Free places up for grabs! Here’s the exciting bit – a number of spots for the Skills School will be filled via email lottery. To enter a child for the chance to attend, email child’s name, age and guardian’s contact information to: skillsschool@covermore.com by midnight, Sunday 22nd July. Children must be aged 6-12, and available to attend Skills School on 2nd-3rd August at Burlington Danes Academy in White City. 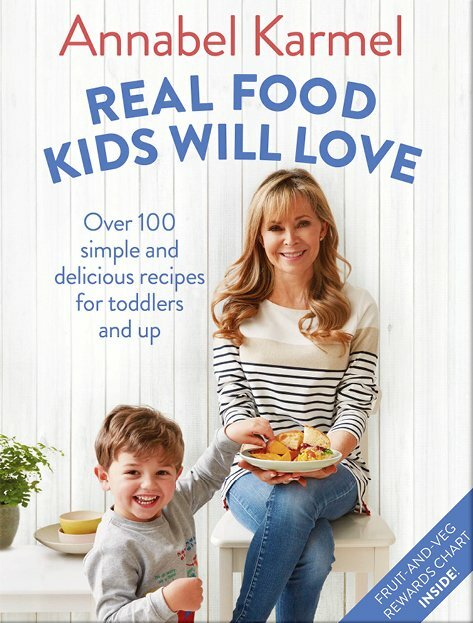 Annabel Karmel and Bluebird Cafe team up to create real food kids will love. Picture includes Annabel Karmel and Simon Gregory, Executive Chef D&D Restaurants. 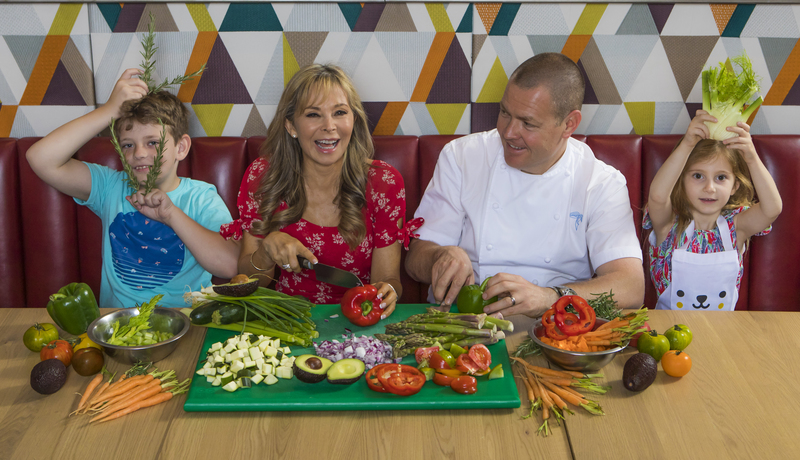 Two ticketed children’s cookery workshops, hosted by Annabel Karmel and Executive Chef Simon Gregory, are taking place at the new Bluebird Café, White City this summer. 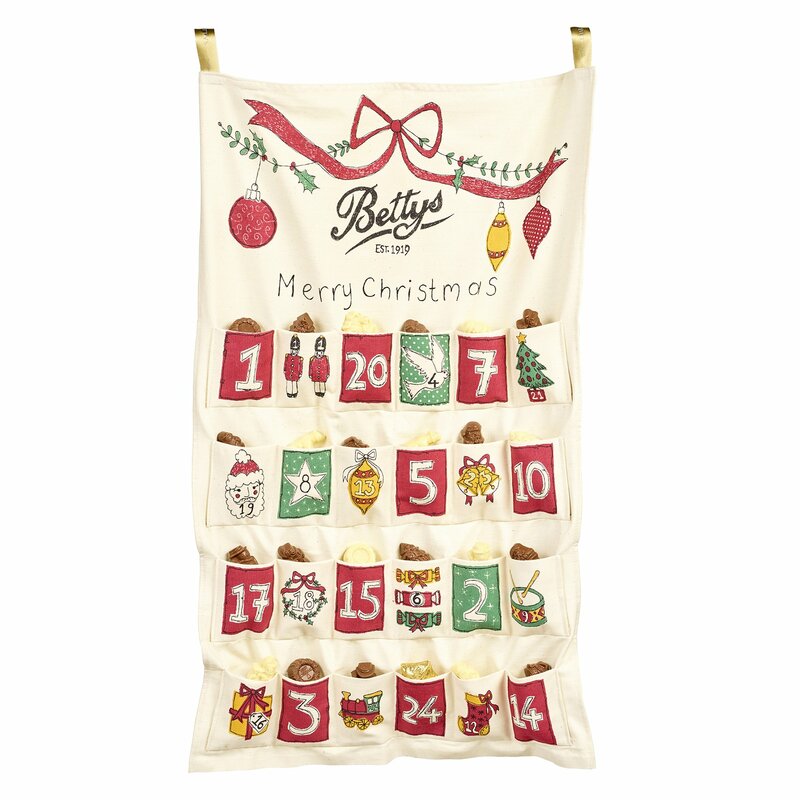 And City Kids Magazine has secured a spot for you at the Gingerbread Making workshop in August. All you have to do is follow this link and instructions to enter. You can also guarantee you’ll be there by buying a ticket. The link below will take you to the ticketing site. Tickets can be purchased via https://shop.danddlondon.com/product-category/events/. 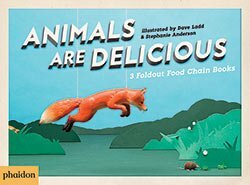 The workshops celebrate the collaboration of the legendary children’s food author and the stylish Bluebird chain where an exclusive menu has been devised from her new book Real Food Kids Will Love. General reservations to Bluebird Café can be made by calling 020 3940 0700 or online via www.bluebirdcafe.co.uk. 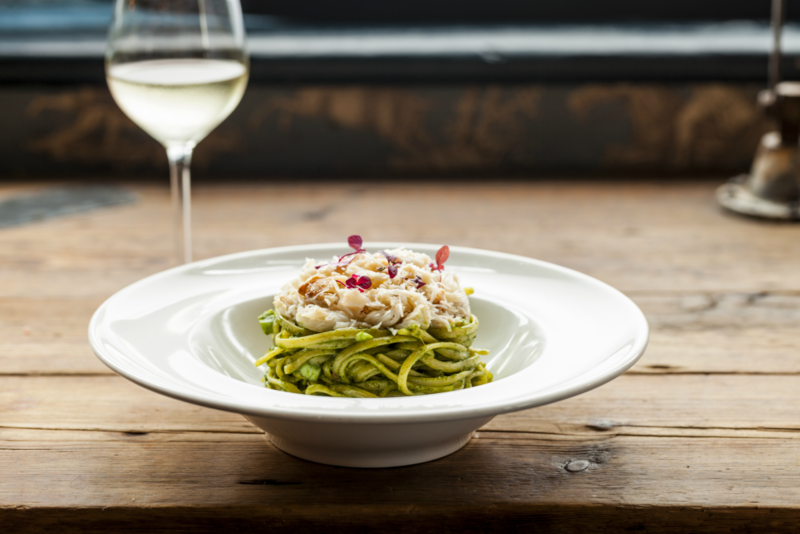 Recently opened Bluebird Café, located in White City’s iconic Television Centre, has teamed up with the UK’s No.1 children’s cookery author, Annabel Karmel, for an exclusive menu collaboration around her new book Real Food Kids Will Love. Her six-week residency will see a selection of dishes from the book forming a nutritious and inspiring menu specifically designed for Bluebird Café’s family diners. The menu includes roast chicken, fish and sweet potato chips and fruit skewers. 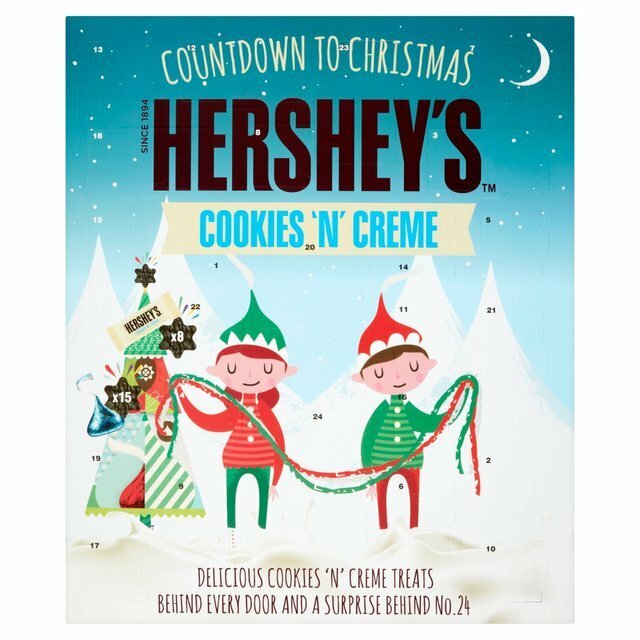 Inside the book, published by Pan Macmillan, you’ll find recipe categories such as 15-minute meals, family favourites, healthy ‘fast’ food and holiday cooking with kids. Plus meals that adults can also enjoy including tuna poke bowls, quinoa baked chicken fingers and quesadillas. 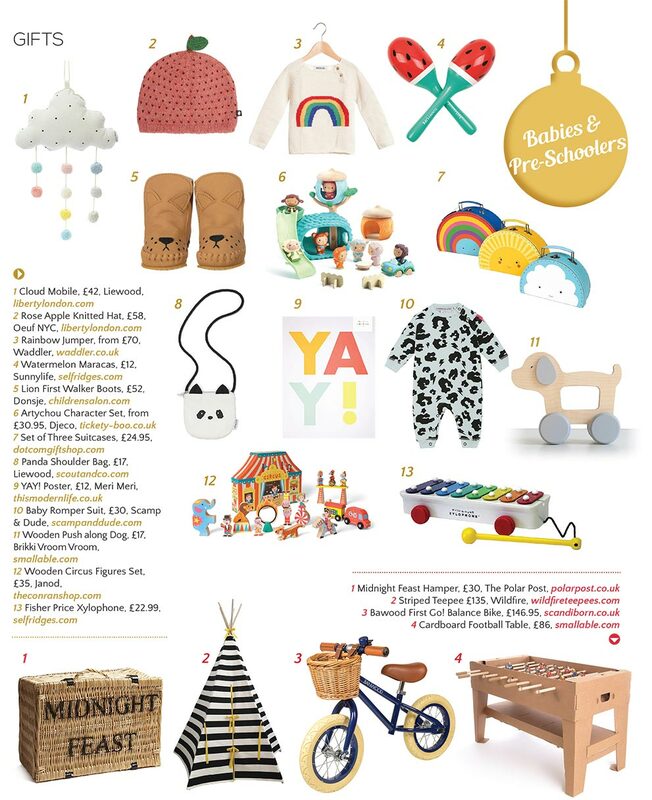 And for those on the fussy side, there’s a handy rewards chart inside the back cover. Each dish has been designed to be enjoyed by the whole family, while remaining simple, healthy, and nutritionally balanced for young children. 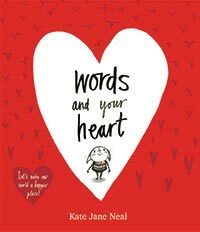 Never underestimate the power of words is the point of this heart-warming read. It gently explains that what you say can have an effect on a person’s feelings. 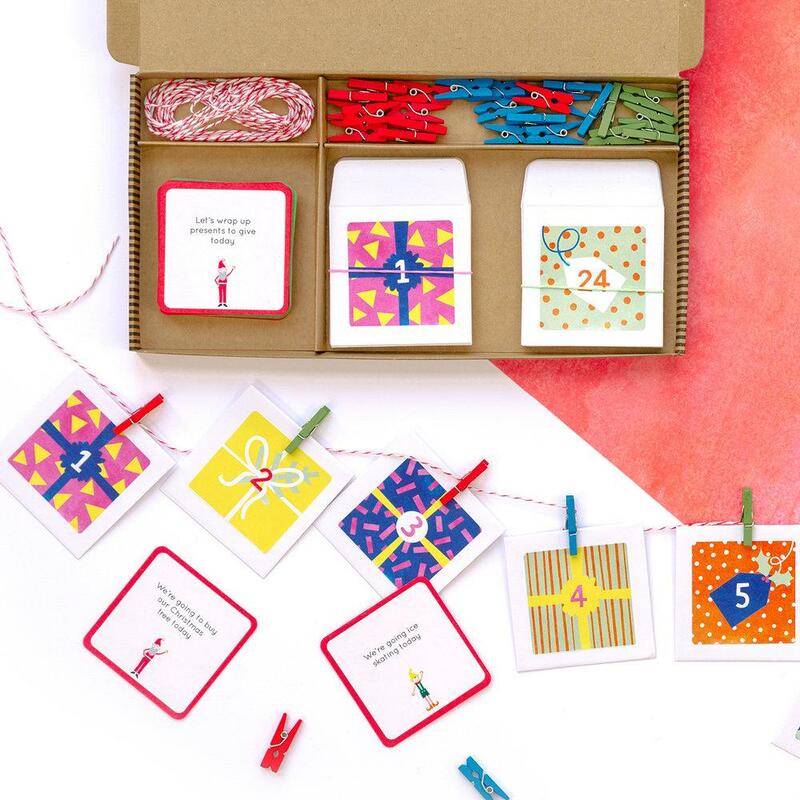 With playful illustrations set against a simple colour palate, this book about being kind is just the ticket at a time of year where consumerism is at an all time high. 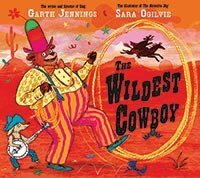 The Wildest Cowboy by Gareth Jennings and illustrated by Sara Ogilvie (Pan Macmillan) Brought to you by the writer and director of Sing, uber talented Garth Jennings has come up with a cracking story of what happens when Bingo B. Brown turns up in a town they call Fear. 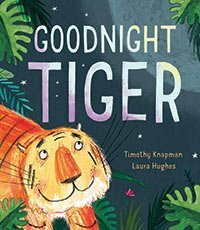 A rip-roaring rhyming tale vibrantly illustrated by Sara Ogilvie. Julia Donaldson fans will enjoy this. 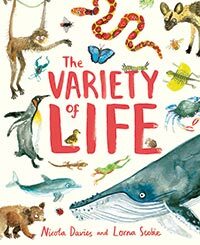 Make space on your shelves for this big but beautiful book which explores the diversity of our planet. It is absolutely stunning to look at and there are so many facts for young minds to absorb. 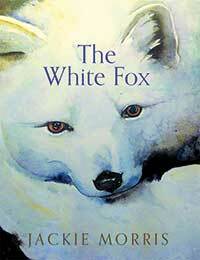 This timeless book brings non-fiction to life in a way which all ages can appreciate. This is really such a great book – absolutely beautifully done. Treat your kids to it. 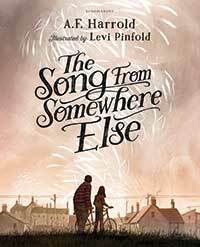 This is the fourth instalment of the successful Harper series – a girl with a rare musical gift. 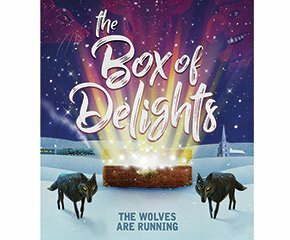 It sees Harper and her friends on a mission to help the Wild Conductor win back his place in the magical Circus of Dreams. 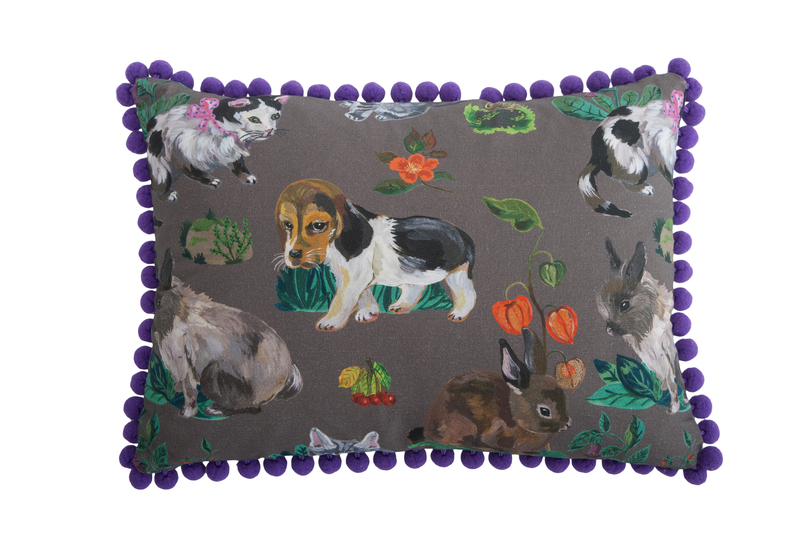 Laura Ellen Anderson’s illustrations really bring the story to life with her zingy illustrations. Now this is exactly the kind of book that will keep young minds busy. 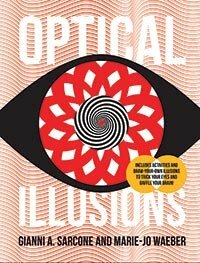 Jam-packed with brain-whizzing tricks of the mind, not only do you find out the science behind the illusions but there’s a whole section on how to create your own. One for kids and adults alike. 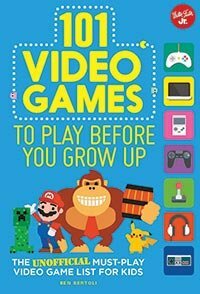 If you’re struggling to get your child off their video consoles for more than 10 minutes, buy them this book which they’ll actually have to read before returning to Fifa 18. 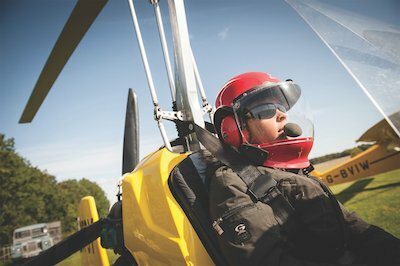 This is bucket-list territory and is perfect for all big kids! The Goat Chelsea has a different approach to a relaxing Sunday pub lunch. Friend of City Kids, The Ealing Mummy, went to investigate. 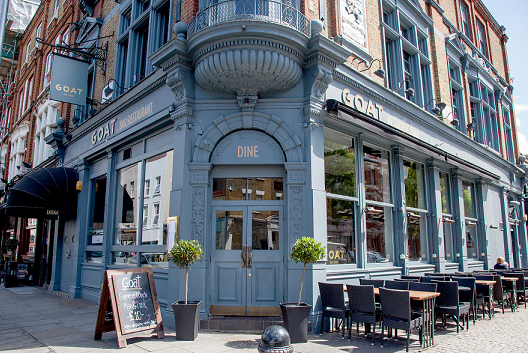 The Goat Chelsea is a great place to go for a relaxed Sunday Lunch. 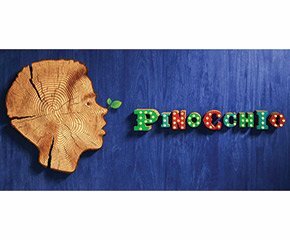 Not only do they offer a lovely contemporary Italian inspired menu, but they have entertainment for the kids at their Kids Club Sunday from 12-3pm. So, you might actually be able to enjoy your meal without the usual interruptions that you would normally expect with kids! There is no extra charge for the entertainment, but I suggest that you book a table to avoid disappointment, as it is very popular. The entertainer is based in a private dinning room on the lower ground floor of the restaurant, which is great because that way you don’t feel as if your child is disturbing other diners who may not have children. On this particular Sunday my Daughter was entertained by Froggle Parties Professionals. 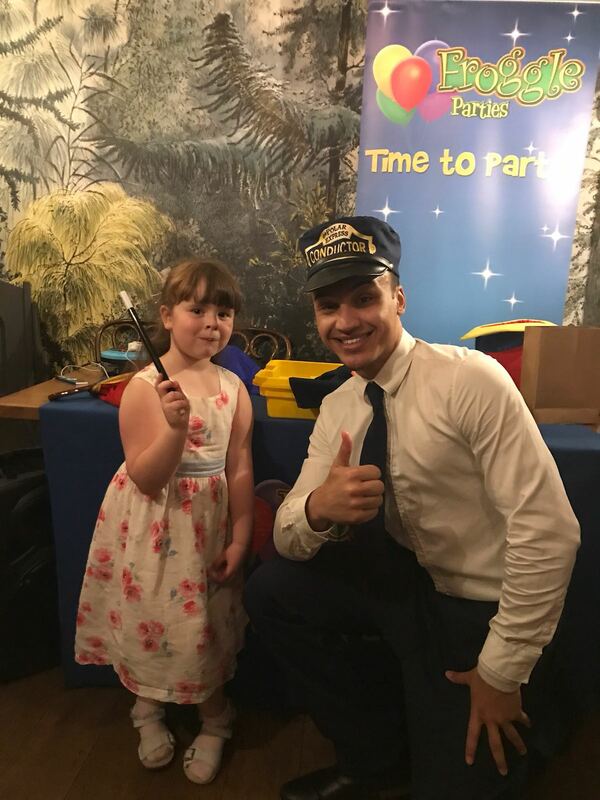 The friendly man was dressed as Train Conductor and performed an array of magic tricks and jokes. She enjoyed it so much we had to convince her to come back upstairs and have her lunch! She also left with some party bag gifts and a candy cane that the entertainer modeled from balloons especially for her! They offer a great children’s menu which definitely suited my little one’s taste buds. She decided on the chicken goujons coated in panko breadcrumbs with broccoli and fries and to finish with chocolate brownies and gelato. 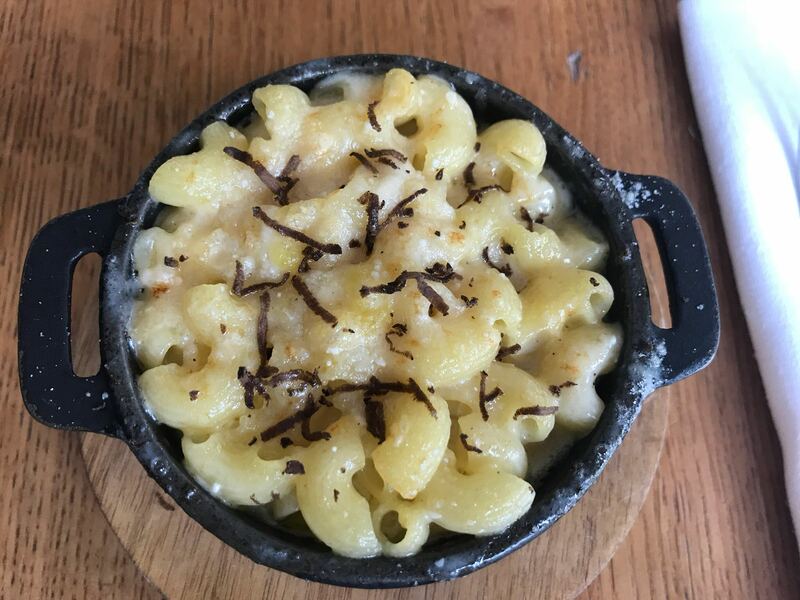 I was impressed with the overall menu and decided to go with the truffled macaroni and cheese to start with. I went for a Devon crab salad for my main. I finished with a delicious sticky toffee pudding and vanilla gelato. 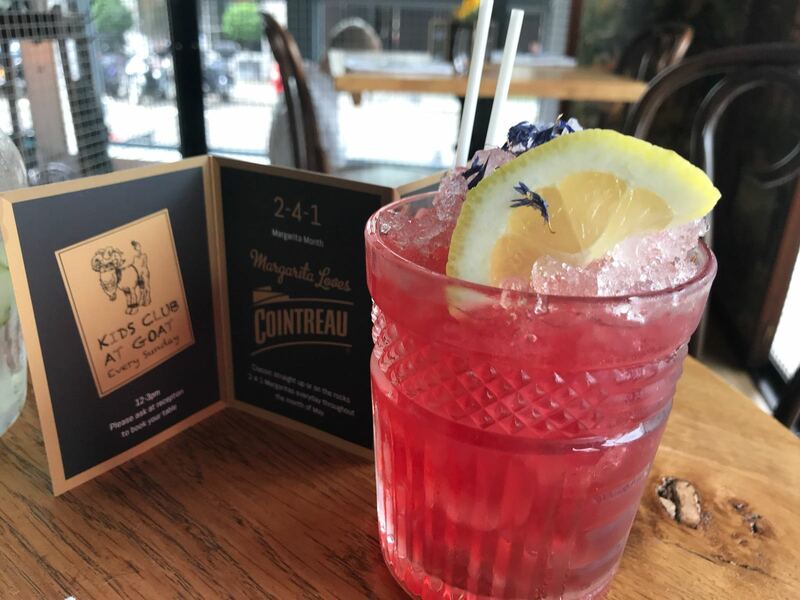 I also sampled one of their cocktails which was inspired by the Chelsea Flower show, it was fantastic in both taste and presentation. I would thoroughly recommend The Goat to families. I also noticed they have highchairs available and baby changing facilities too. 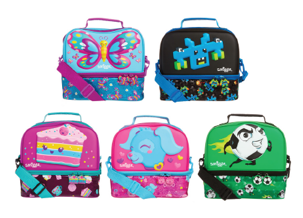 It’s the perfect place to go if you want a leisurely lunch with the kids. The staff made us feel very welcome and could not do enough for us. 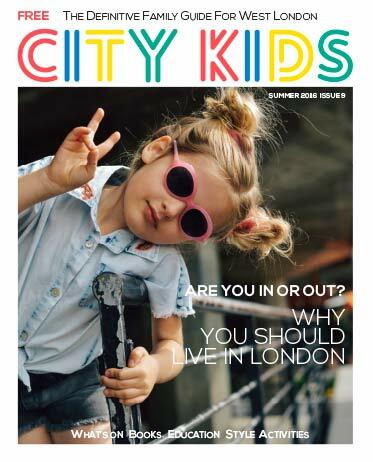 We may not be blessed with sunshine over the Easter holidays, but come rain or shine, City Kids has selected some of the best things to do with the kids in London. To celebrate the restoration of the Great Pagoda at Kew by Historic Royal Palaces, six majestic dragons have descended upon the famous gardens, waiting to be discovered. They’ll be hidden in key areas of the 300-acre site, forming a fun family trail in association with BBC’s Blue Peter. On arrival, vistors will be introduced to ‘Ting’, a dragonologist and member of the fictional British Dragonologist Association. 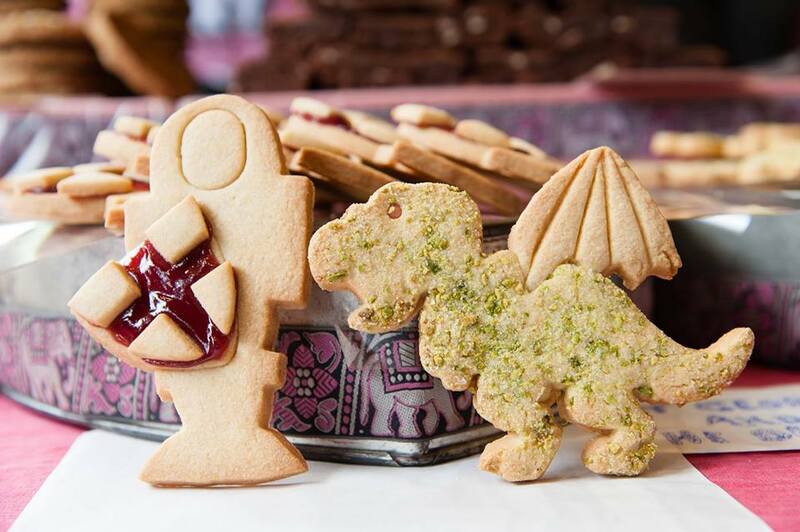 Families will be able to discover how she researches, finds and records dragons and help her complete her mission to hunt down and identify all the dragons nesting in the Royal Botanic Gardens. 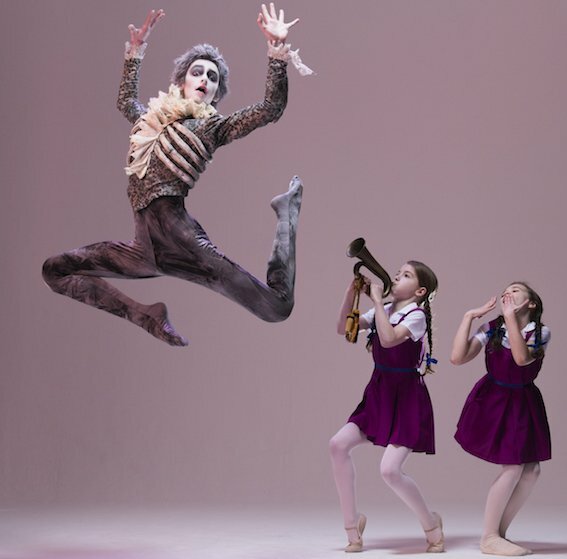 English National Ballet and English National Ballet School present a new version of the well-known classic, Swan Lake, as part of its My First Ballet series created especially for children as young as three. Adapted to an hour in length and with a narrator to help young audiences follow the story, My First Ballet: Swan Lake is the perfect introduction to the magic of ballet. 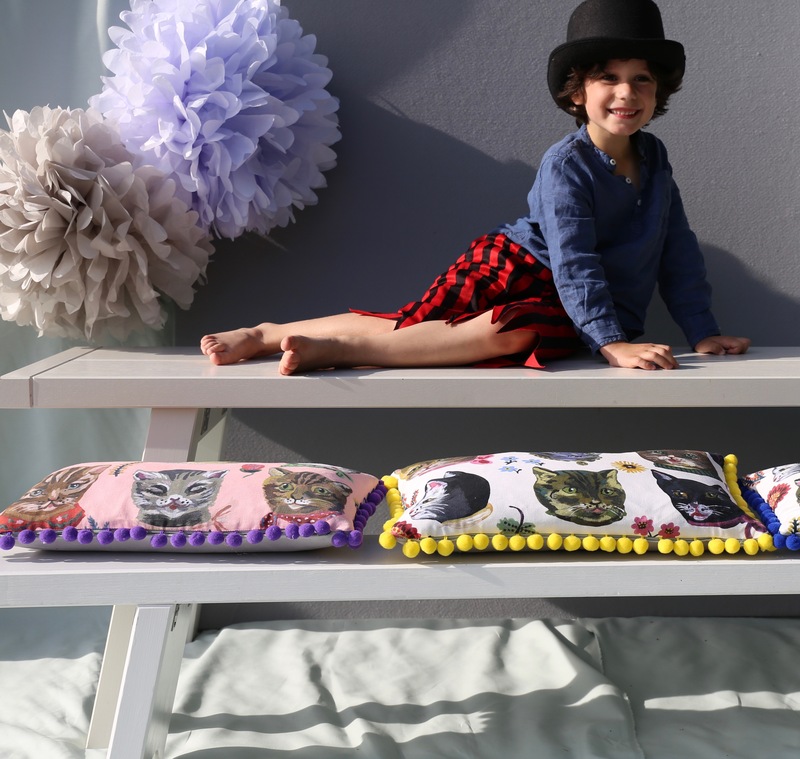 Budding designers will be able to create their own marvellous Easter decorations, craft Easter cards and masks or get their face painted inspired by the characters from the new spring summer collection featuring dinosaurs, unicorns and parrots. The activity is free of charge and kids will also be able to design their own trainers to be in for a chance to win trainers for themselves and their family. 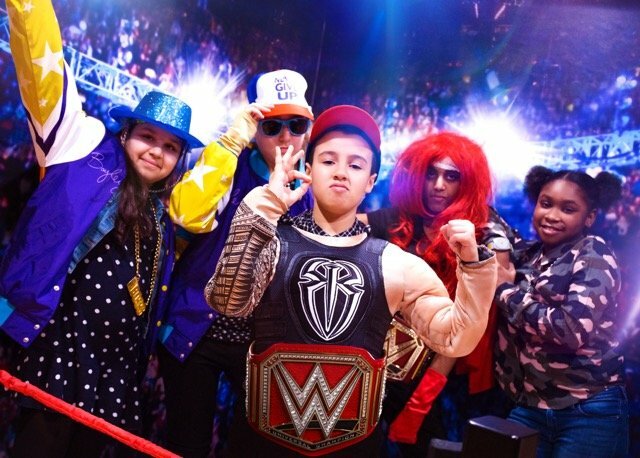 Gearing up to the broadcast of WrestleMania 34 on April 8, KidZania will encourage young explorers to design and create their own WrestleMania Superstar and pose in the ring at the WWE Academy. Across the rest of the city, full coverage of the WrestleMania activities will be making headlines at the Global Radio Studio and Metro Newspaper, whilst over in the theatre, WWE fans will have the opportunity to see what it takes to create a live show, experimenting with lighting, sound, costume and performance. Other activities include face painting, WWE themed games and arts and crafts. 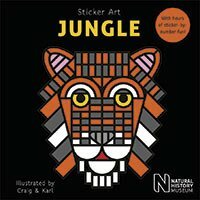 Free family workshop showing how you can survive in the jungle. Play the survival essentials game and then create your own model waterproof jungle shelter using the materials provided. Will it pass the test and keep out the water? At the Royal children Mews, Rex the corgi and the royal horses Majesty and Scout have been up to no good, hiding pictures of themselves amongst the carriages for children to find. 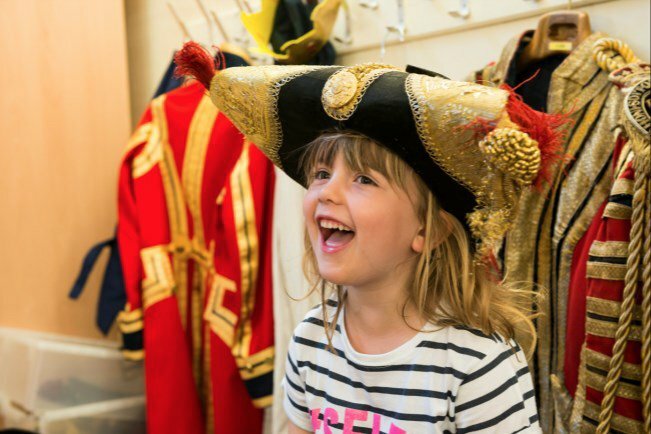 During their quest, will be able to dress up as a footman in specially created livery, learn how to harness a horse, enjoy art activities and find out what it really feels like to ride in a royal carriage, before claiming a delicious Easter egg to take home. 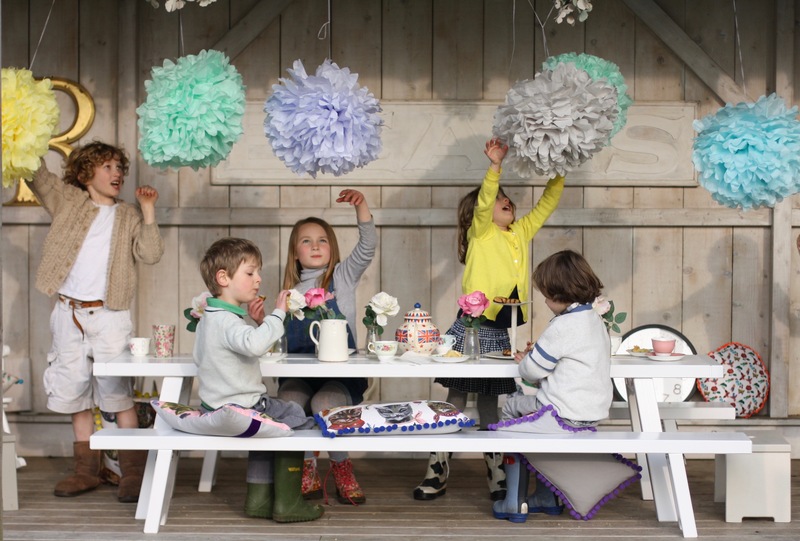 Enjoy the Easter weekend at the Horniman with the whole family. Go on the Easter trail, create something crafty, have your face painted and join in family activities across the Gardens. 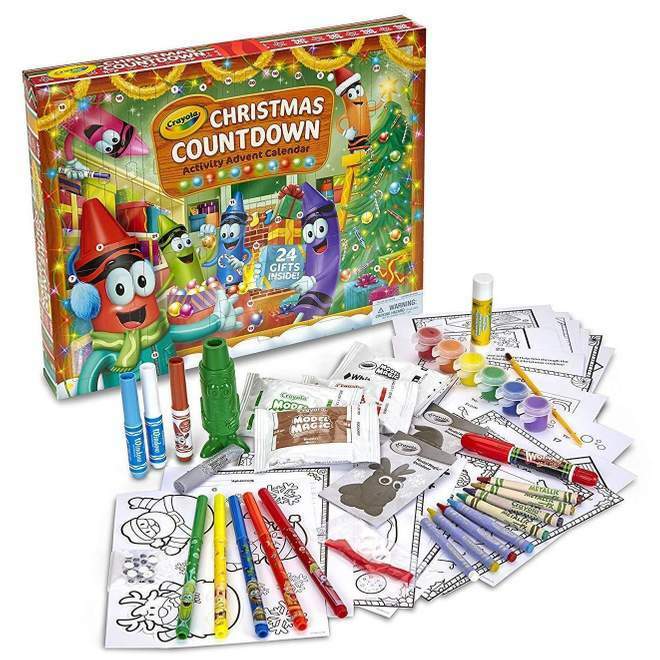 Suitable for families with children aged 3+. 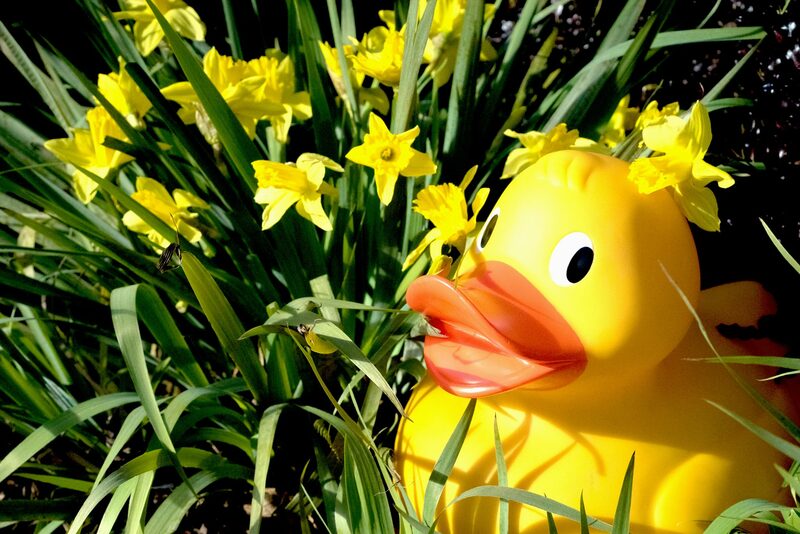 Bring your friends and family and follow the Easter GIANT duck hunt around the nature reserve to discover where they are hiding. You’ll need all your special detective skills to track them. As well as searching for the GIANT ducks, there’s also lots of Dusty’s ducky cousins to see, plus join the WWT team for a spot of Pond Dipping or find out how to build a nest during one of the Wild Play sessions. From folding bicycles to electric cars, Londoners have been whizzing around the city in ever more creative ways. Put yourself into the shoes of an inventor and design a cool gadget to keep Londoners on the move in the future. What kind of futuristic transport would you invent? Learn how to make your inventions move using balloons and elastic bands. 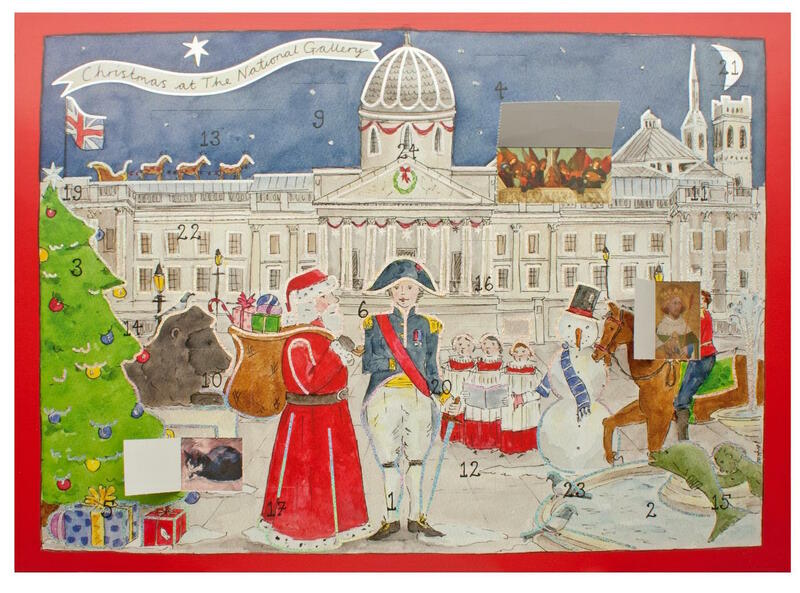 This gem of a museum has plenty of activities planned for the holidays including a Pop-up Sister Brother Photo Workshop where you can meet the artist behind the exhibition Sister Brother, Madeleine Waller. Create create a special family portrait with props, complete with a frame designed by you. The Mini Ninjas will be taken through three nutritious recipes during the hour-long class with a YO! chef. After completing the class, budding chefs will receive a Mini Ninja certificate, their very own chef’s hat and a special YO! bag. Their freshly made dishes can also be packaged up to take home! 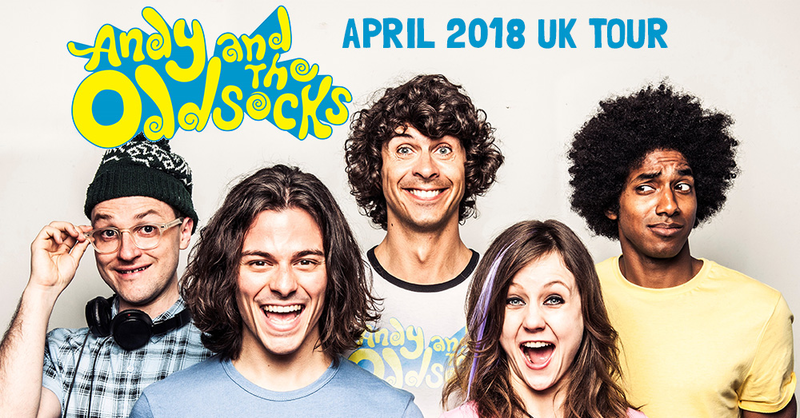 Lead singer and BAFTA nominated Andy Day is a huge presence in most young children’s lives appearing regularly on children’s TV tackling dinosaurs, baby animals and being in safari. Now the much loved TV presenter has another string to his bow.- Andy the rock star! For more things to do in the holidays, head here to find out what’s on in April. Not everyone is blessed with culinary skills, and some just aren’t interested. But cooking for the family is inevitable once you’ve decided to to have children. For those who can’t cook, and those who won’t cook, Sophie Clowes goes back to basics with the help of some Wabi-sabi attitude. Of the many competent adults I know, some can’t drive, some can’t run far, some can’t swim and some can’t sing in tune. Well, I can’t sing (not a note), but I also can’t cook. The skills required for making a main course elude me, which makes me feel embarrassed, nervous, flustered and, finally, frustrated. It became a barrier to having friends round, which is sad. One day, after swim squad, I was listening to my fellow swimmers – a varied, successful bunch – who were talking about how bored they were of cooking, of food, of their lack of inspiration and of fussy children. Then, somebody suggested she might be able to help. That is how Louisa Chapman-Andrews came to my house to give me a cooking lesson. Louisa is not a nutritionist, but a cook and writer. She runs her own food consultancy, helping people fall (back) in love with food and cooking. Her gentle understanding of my predicament was summed up in a book she recommended, called Wabi-Sabi Welcome. Wabi-sabi is a Japanese concept that honours the beauty of natural imperfection and a life of chosen simplicity. A review describes it as a ‘licence to slow down and host guests with humility, intention and contentment’. This was the culinary path I was seeking. We didn’t make sushi, I hadn’t managed to read the book and we didn’t even use it. Instead, one morning, Louisa, with a herbal bouquet fresh from her garden, taught me how, with a few basic skills and vision, I could make dishes that would feed my family for the best part of a week. Without a murmur of condescension, Louisa taught me how to make a classic tomato sauce. We also roasted a tray of root vegetables and, since I had a whole chicken and not the chicken thighs she had suggested, she taught me how to poach it. This method meant you got two cracks at stock, which is, in culinary terms, liquid gold. To the uninitiated (which, seemingly, is just me), this was nothing short of magic. Three very simple recipes could multiply and become a veritable menu of choice: soup, pasta sauce, health bowls, chilli, pasta bake, curry base. Until recently, a main meal in this country constituted meat and two veg. Instead, Louisa suggested building a dish from the ground up, in pyramid fashion, starting with grains or pulses, then substantial vegetables such as roots, then softer vegetables such as leaves, then protein in the form of meat, fish or different vegetables, before adding a dressing and the texture (nuts and seeds, or even crispy salmon skin). You reap what you sow, or rather, eat what you cook, and so we sat down to a convivial lunch. First on the plate was a mixture of toothsome grains and pulses, then the roasted root vegetables, raw spinach leaves, shredded chicken breast, a simple dressing of yoghurt and lemon topped with some pumpkin and sunflower seeds toasted with Ras El Hanout – a versatile and forgiving springboard into the world of spices. We added chilli flakes too. It was delicious, filling, healthy and something a chump like me has since been able to replicate. Louisa taught me the above but, in a sense, she also gave me permission to try without embarrassment or fear of failure. I’ve learnt that it’s alright to make a mess and that good cooks spill stuff (although, how Louisa got away with no apron and clean clothes at the end remains a mystery), that practice improves things and perfection is overrated. I realised that cooking for friends is one of the ultimate expressions of friendship. 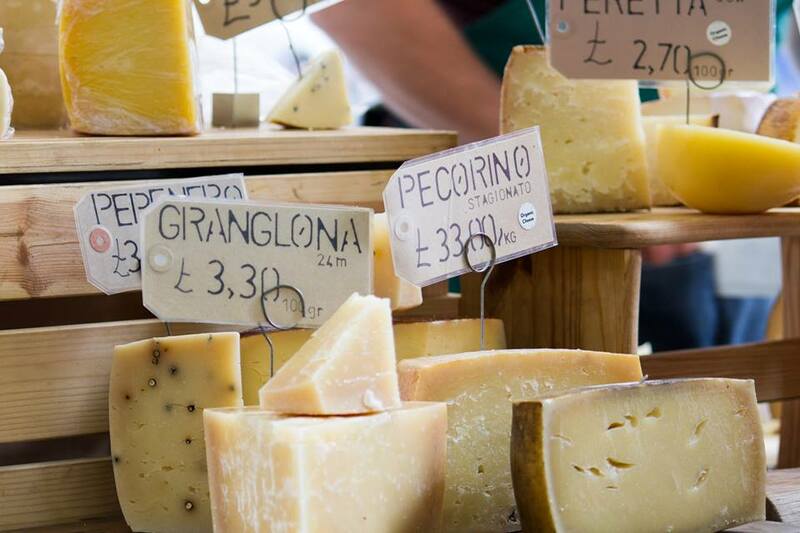 Later, Louisa sent me lesson notes, which included how to create a pantry and fridge toolkit, where to shop, what oil to use, what pulses should be soaked, how to make a dressing and a myriad of ingredient combination suggestions. I am indebted to her. The late Julia Child, of French cooking fame, once said, “Dining with one’s friends and beloved family is certainly one of life’s primal and most innocent delights, one that is both soul-satisfying and eternal”. Heartbreakingly, the day after Louisa’s lesson, a close member of our family died. Food became a form of familial glue and an expression of love. Friends cooked to give life to a family that had lost a life. It was comforting and therapeutic, as much for the cook as the eater: a form of solace. That week, and those that followed, I truly understood how food is a life-giving force that encourages conversation and laughter, that mops up the tears and quells the grief, as much as anything can. Food is many things: it feeds our children’s brains and bodies, it nurtures and energises, it speaks of culture and geography, of comfort and celebration, of tradition and ritual, of family and friends and of love. It creates lasting memories and is a marker of the most important moments in life, as well as the backbone to every day. I am no longer afraid to cook. I am free to make a mess of my kitchen, to flavour food, to waste next to nothing and to feed family and friends in a perfectly imperfect manner. It’s not easy, but I’m more at ease. Next up, can any of you swimmers teach me how to sing? Saffi the dragon doesn’t want to capture princesses or crush castles, all she wants to do is make friends in pastures new. So far, so lovely. But, as she quickly discovers, it’s not quite as easy convincing the other animals that she’s not trouble. Jonny Lambert’s gorgeous illustrations really bring this story of acceptance to life. Kya, in many ways, is just like your average four-year-old. She likes ice cream, jumping, being cheeky and isn’t so keen on vegetables. However, she is autistic, and you will discover the ways in which she is different. You can almost feel Kya’s energy through the illustrations alone. This gentle book guides the reader into how Kya understands the world as written by her dad. 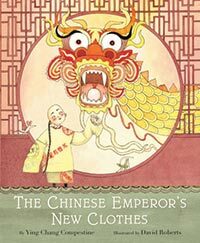 A clever re-working of the Hans Christian Anderson classic, focused on Ma Ding, a nine-year-old boy, who becomes the Emperor of China. Realising he is being tricked by dishonest ministers, he decides to play a trick of his own. Beautifully illustrated by David Roberts (of Rosie Revere, Engineer fame), it weaves Chinese tradition with a message of kindness. 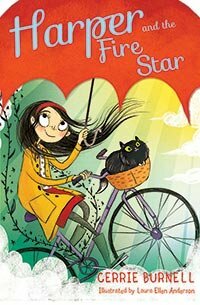 In this very funny debut, heroine Pippin lives in Funsprings, where she spends an enormous amount of time with her granny. All sounds pretty ordinary, until you find out that Pippin can speak to animals and her granny used to be a crime fighter. When mysterious goings on begin to happen in the town, can the pair use their skills to solve the mystery? 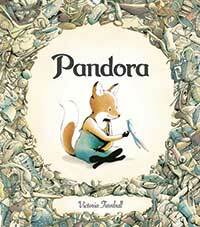 Adventure awaits in this cracking book by Vashti Hardy. The twins, Arthur and Maddie, are on the trail of their father, a famous explorer, who, they’d been told, had died on the way to the South Polaris. The intrepid duo join a new crew, led by Captain Harriet Culpepper, as part of a race to the South Polaris. 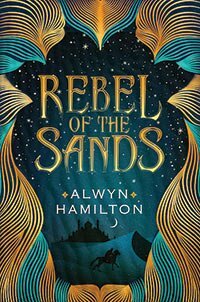 Can they cut it on the ship, and will they find the truth about their father? Written entirely in verse, and spanning the time frame of just one minute, this book follows the story of Will, who is seeking to avenge his brother’s murder. He must follow The Rules: No Crying, No Stitching and Get revenge. As he takes the lift, he is joined by a host of people from the past who make him think about the task ahead. 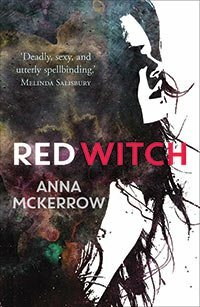 Gripping and darkly illustrated, it is a stunning future classic. 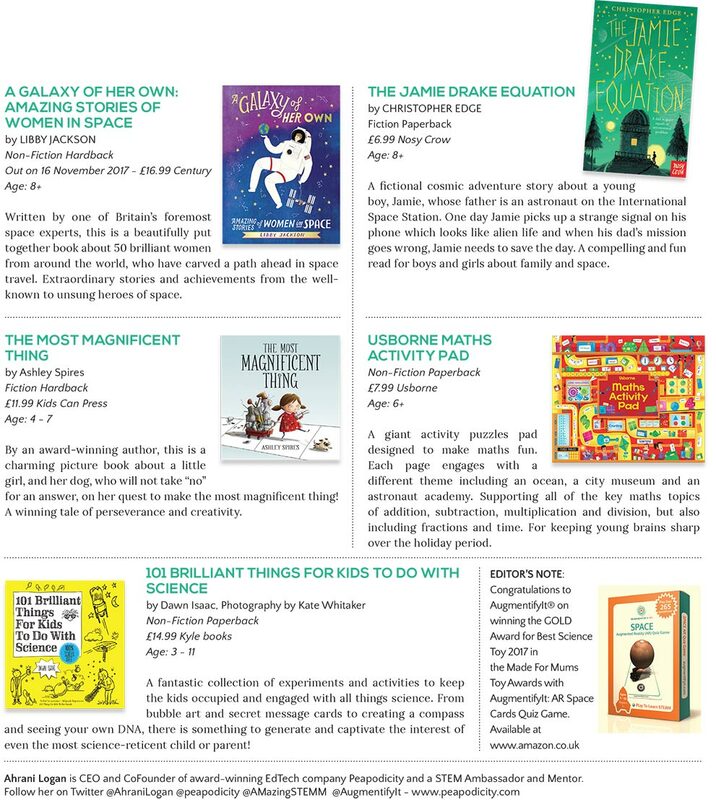 If you’re looking for some educational present ideas, there are plenty of science-based reads available this winter. 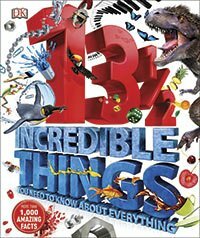 Here are my top 5 inspirational books featuring Science, Technology, Engineering, Arts and Maths. 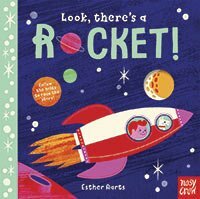 This new series of interactive board books by Esther Aarts will make a lovely addition to any bookshelf. Perfect for busy fingers, the follow-the-hole story takes you into outer space. 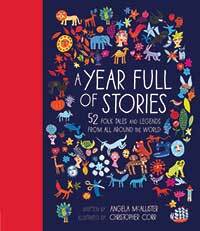 There’s plenty to spot and the colourful illustrations are joyful and fun. Plus being a board book, it’s robust enough to be read whilst on the move. Look, there’s a SUBMARINE! takes you deep under the ocean to explore all the sea life she can find. When the daughter of Peter Blake illustrates a book, you know it’s going to be visually arresting. Detailing the school day of a young girl, it’s busy and buzzy as we see her have a maths lesson, do P.E., have a science lesson, play on computers, eat lunch and so much more. Children will relate to the many activities that happen and with the bright and cheery illustrations, there’s plenty of reason to read again and again. 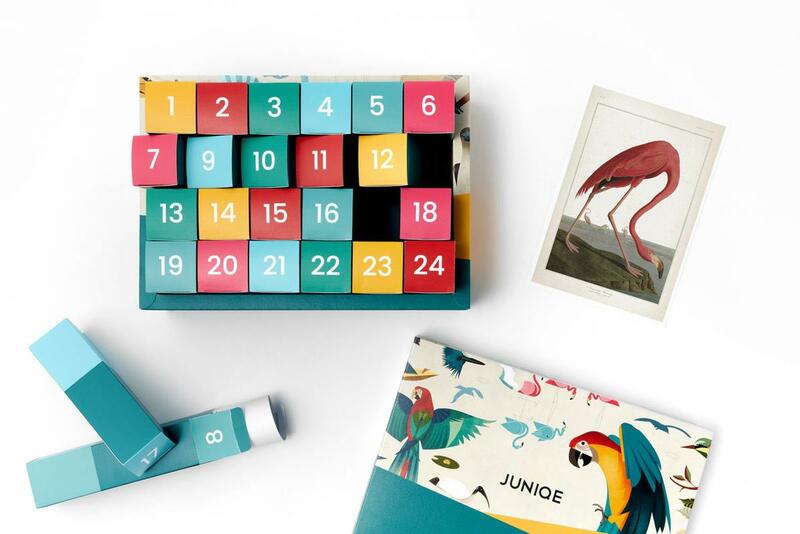 This stylish interactive sticker book will keep most fingers busy. 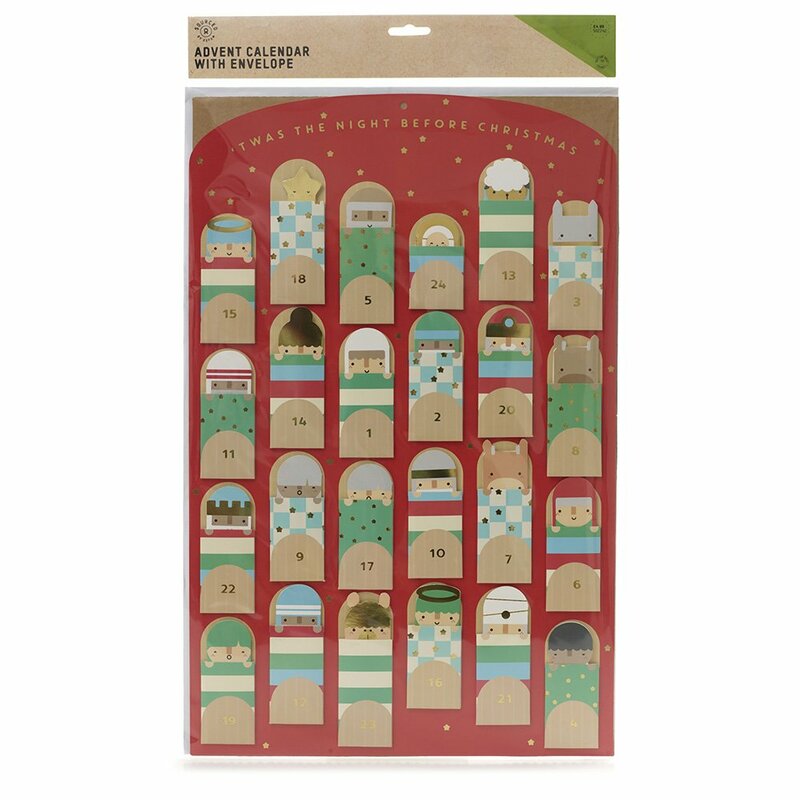 Think paint by numbers only with stickers. Working in collaboration with Natural History Museum, graphic designers Craig Redman and Karl Maier have joined forces to create these bold books on topics including Jungle, Ocean, Woodland and Savannah. Each book has eight striking portraits to make with interesting facts to accompany them. Why should mindfulness just be for adults? 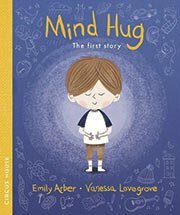 Mind Hug tells the story of Jack, who is overwhelmed by his thoughts, making his head feel ‘fizzy’. The more he tries to block the thoughts, the more they come, leaving him feeling frustrated and out of control. When his dad introduces a ‘game’ and helps to focus his mind through breathing, Jack calms himself down. With his new found power, he shares his techniques with friends. This is the first in a series to help children grow up with good mental health. Who wants to hear about puberty from their parents? Their teacher? How about learning about all those changes from an inspirational hula-hooping acrobat and possessor of a rather cool nine Guiness World Records? Now we’re talking. Meet Marawa Ibrahim, whose no messing and honest approach is a breath of fresh air. With everything covered from spots, hair, sweat, fitness – nothing is left unturned. And in this age of perfecting the flawless selfie Marawa shows just how having good self esteem is the most important thing of all. 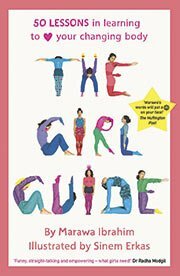 An all round essential read for girls AND their parents. 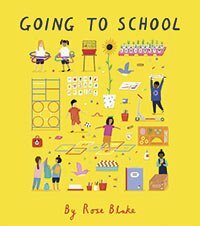 This is the perfect post-summer book, when your child’s brain has mainly been forgetting everything they learnt in the previous school term and is awash with watching YouTube videos on fidget spinners and learning the Spanish bit to Despacito. Time to re-engage with this super fact-filled book on just about everything. Topics range from classics like dinosaurs, stars and the Greeks to chocolate, bees and blood cells. The photographs are stunning and for every topic there are 13 pieces of information. You’ll even learn loads yourself so can impress your friends down at the pub quiz. 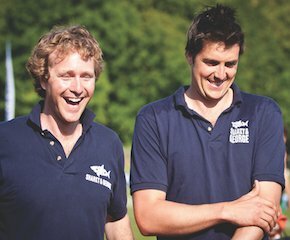 Sharky and George guide us on the best things to do with kids in our fair city’s green spaces. Bug Hunting – All you need is a jam jar, a little net, a magnifying glass, a log book and you are away. Have a look under rocks or fallen branches, under the bark of trees or in long grass and you are sure to come across lots of creepy crawlies. Gently put them in you jar or container and then count their legs, eyes and wings. 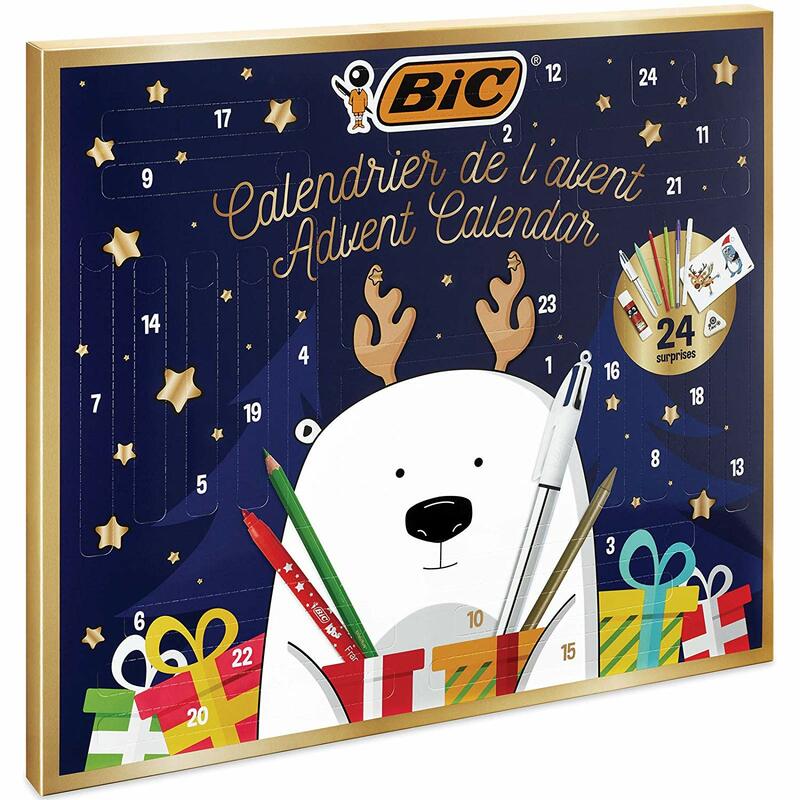 Do a little drawing of them in your log book and then set them free! Homemade Kite-Flying – You can buy kite kits online for about £2-3 which are fun and easy to put together but most importantly fly really well. Water Pressure Rocket Launching – Rockit do the best kits for about £15 and there is so much you can do with them. You need your Rockit, a selection of bottles (check the cap fits onto the thread of each bottle), a bicycle pump and a water source. You can then experiment with different amounts of water in different size bottles to see how high you can go! 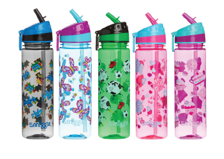 We find that smaller bottles about half full of water tend to go the highest so bigger isn’t always better. 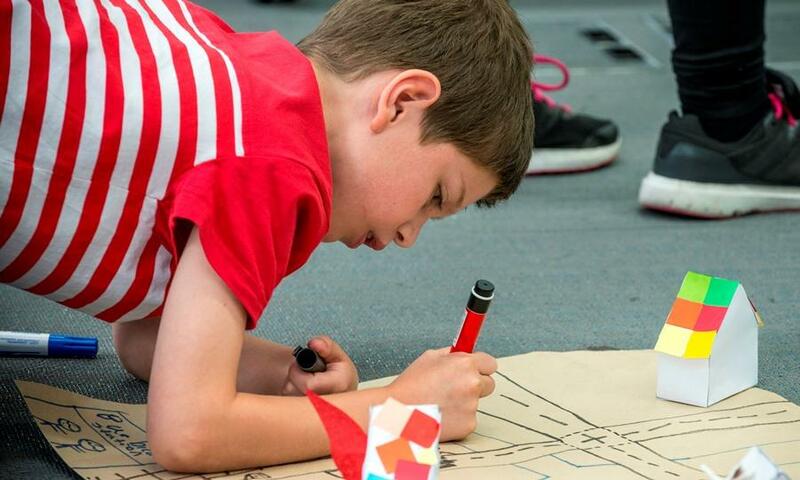 If, on the off chance, you want your children to do all these things and a lot more from 10th-28th July, then it just so happens that Sharky and George is running its Adventure Club in Hyde Park between those dates! 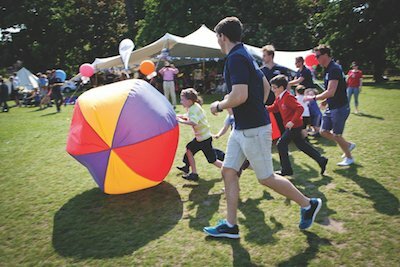 Each day will be jam-packed with fun, games and endless activities, including tug of war, mini olympics, rocket launching, science madness, pedalos, spy quests and of course, lots of water bombs. Adventure Club is suitable for children aged between 5-10 years old and tickets can be purchased here. They’d be crazy to miss out on the fun! We can also do something a bit more bespoke for you. 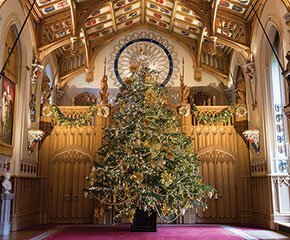 For example, there was a bit of an issue last summer when the Queen’s birthday presents were stolen by a disgruntled security guard! The children were met by a special agent in a London Hotel looking for help to recover them. The only intelligence they had was a ticket with a number. It turned out it was a cloakroom ticket for the hotel and the children quickly recovered a locked metal briefcase and an envelope with a code. What followed was an undercover rendez-vous with an accomplice of the security guard outside Buckingham Palace (to coincide with the Changing of the Guard at 11am! ), a meeting with another agent and a wild goose chase that took them around all the best London landmarks. It ended with a serious water-bombing of the mischievous security guard so that he would reveal the hiding place and a probable Knighthood from the queen! When the undefeated warrior, Rock, runs out of contestants to beat in the Kingdom of the Backgarden, he goes off in search of a suitable suitor. Elsewhere, Paper is the undisputed champion of the Empire of Mum’s Study but, unsatisfied by his easy wins, he leaves in search of more challenging foes. Over in the tiny village of the Junk Drawer, Scissors is making short work of her enemies and decides to find more interesting battles. When the trio stumble upon each other, the most epic battle ensues. For those fond of nature, this sweet story is one full of hope. When the little gardener struggles to grow anything on his plot, he is close to giving up. But then, he sees signs of life in the form of a little flower, but that isn’t quite enough to rescue the barren patch – until he makes a wish and his life is completely transformed. 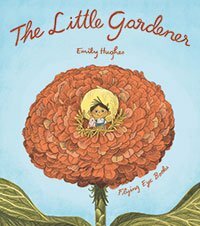 Subtle yet deep, and set against a dark palette, Emily Hughes’s tale of persistence is also one that restores faith in human kindness. 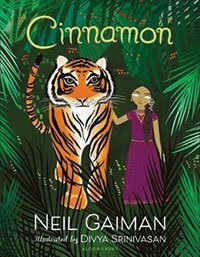 This stunningly depicted fable tells the tale of a princess called Cinnamon, whose eyes are made of pearl, meaning she is blind. Not only is she blind, but she doesn’t talk. Her parents, Rajah and Rani, are desperate to hear their daughter speak and offer a handsome reward to anyone who can make her talk. People travel from far and wide with little success, but it takes the skill of a tiger to unlock her voice. 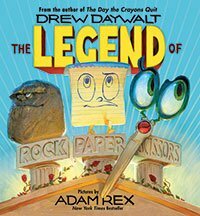 A beautiful, funny and poignant tale from a master storyteller. 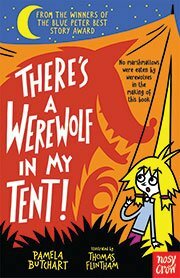 Pamela Butchart never disappoints and, in her latest book, the laughs come thick ’n fast. Izzy and her friends are excited about their school camping trip, until they find out that their new, super-strict P.E teacher, Miss Moon, will be in charge. 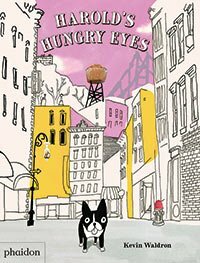 Capers-a-plenty as four friends use all their skills to survive the trip in one piece; with howling heard in the night and the discovery that Miss Moon has really hairy legs – is she secretly a werewolf? And if she is, what on Earth are they going to do about it? 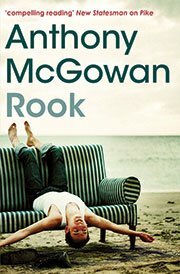 Rook is the third in a series (Brock and Pike predede this), but this novella easily stands alone. When brothers Nicky and Kenny rescue a rook after it’s been attacked by a sparrowhawk, they decide to nurse it back to life, but the boys have other worries to deal with. 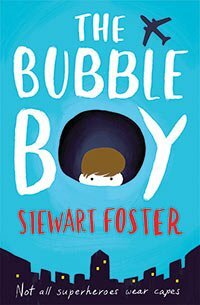 Interwoven into this beautifully written depiction of teen life are tips on how to avoid the school bully, as well as how to pluck up the courage to speak to a girl you like. Barrington Stoke are experts in publishing fantastic stories, which are inclusive for all. They specialise in books for dyslexic and reluctant readers. 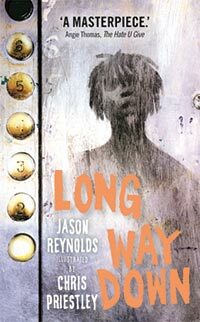 A gripping read set in Hummingbird Creek: an exclusive wellbeing retreat for troubled teens with psychiatric issues. The rules are strict, and woe-betide you break them, which is doubly difficult for Mae as her father is the founder. 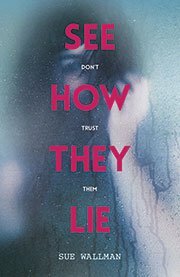 But, after an unintentional discovery, Mae begins to question her family life as it becomes apparent that all is far from what it seems… A real page-turning mystery, with enough sinister undertones to keep the suspense going. The picture could have been me almost 11 years ago when I had my daughter. One of the first of my friends to have a baby, and an only child with no real extended family, I had zero experience of babies. I have no idea if this would have helped as the cumulation of sleeplessness following a hideous delivery, intensive care and a 3-hour feeding programme would be enough to break anyone. I didn’t think that then – I just thought I was useless. Those were dark days. Broken Fanny is just the tonic I would have mainlined in 2006. It’s a one-woman show following a first-time mother’s struggle through the early days. 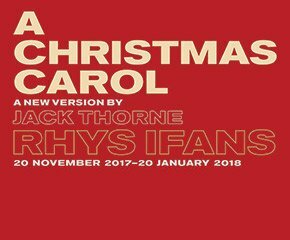 Tackling the unspoken feelings of despair and trapped isolation, social pressures of perfection and ‘expected happiness’ from well-meaning choruses that this should be ‘the best time of your life’. Written and performed by Emma Jerrold, and hosted by Happiness Coach, Olivia Horne, the evening promises plenty of laughs as well as a post-show talk on all the issues raised. 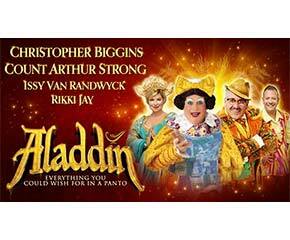 Proceeds for the show will go to PANDAS Foundation UK which offers support and advice to parents suffering from perinatal depression. 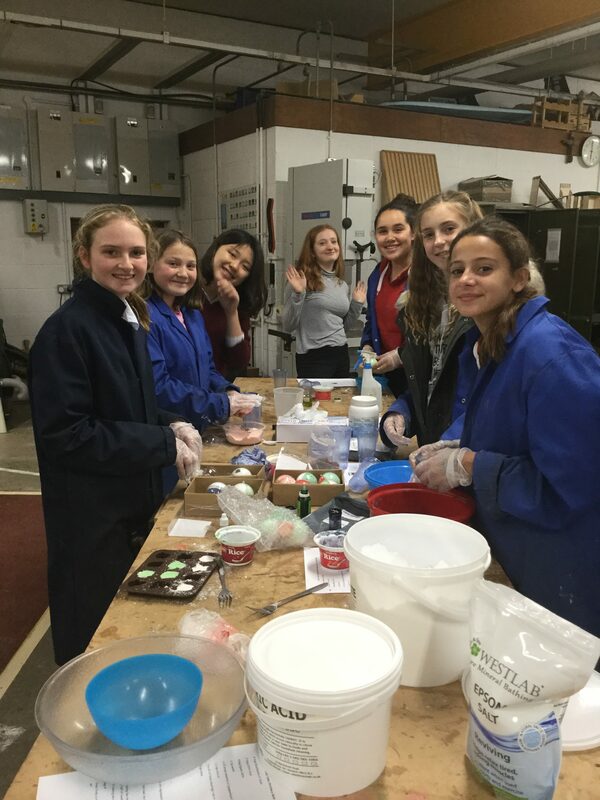 Being a Houseparent to the 70 girls who live in St Bede’s, one of Ampleforth’s longest standing houses, is a huge privilege – particularly on Mother’s Day. Ampleforth is a co-educational school and first admitted girls in 2001. For the sixteen years that I have been at Ampleforth, I’ve been a Housemistress to girls for nearly eleven years, having previously lived in a boys house. 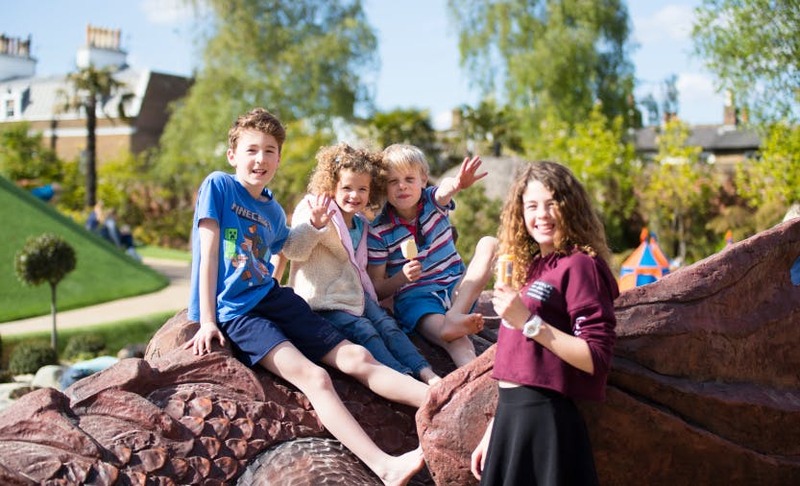 Our Benedictine ethos at Ampleforth means creating a sense of community and providing individual care for the children we look after, which is why many parents choose to send their children here. 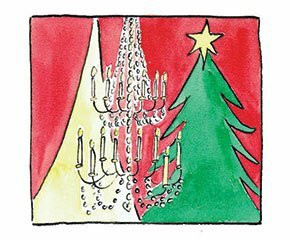 This strong focus on pastoral care is particularly prevalent in our boarding houses and at certain times of the year when children inevitably think of their families. As a Houseparent you are often the central link for a child between school and home. As a parent myself to Oscar (16) and Erin (14), I know that teenagers need a sense of balance and stability as they develop as a person and strive academically and on the sports field, theatre or music room. One of our former pupils talked about their experience of school and said ‘everyone gets the chance to do what they do best,’ which pretty much sums up our approach to the children in our care. Design as a subject is very strong here at Ampleforth and ahead of Mother’s Day, we organise a craft club where the children can make gifts and cards for their mothers, which Matron then posts. Any Sunday at Ampleforth involves Mass, Sunday lunch, calls home and a chance to enjoy some of the 70 extra-curricular activities we have on offer in the 2,200 acres of North Yorkshire countryside we live in. It’s also a long-standing tradition that, on Mother’s Day weekend, myself and another Housemistress join our houses for a large celebratory Sunday lunch, creating a positive family-like atmosphere, which the girls tend to love as it means they can get together with their friends. We also try and keep Aoife our much loved house pet (she is an Irish wolfhound) well away from the table! We are always vigilant about helping pupils settle in and watch out for homesickness, which can sometimes strike at the weekend. We put on a range of social activities at weekends which get everyone involved and keep the children busy. On Mother’s Day this year, we are holding a charity colour run and have encouraged those who celebrate Mother’s Day to invite their parents to come down and watch them take part – and parents can take children out before or after the event. So, Mother’s Day will be a day where we come together as a large family – however near or far our own might be. It’s sometimes said that education is what is left when you have forgotten what you were taught. Einstein himself used this quote, to make the point that the core value of education is not in the subjects taught, but in the learning of mental skills – the ability to think well. The purpose of education is too often assumed to be for securing work and safeguarding the economy – learning for earning. 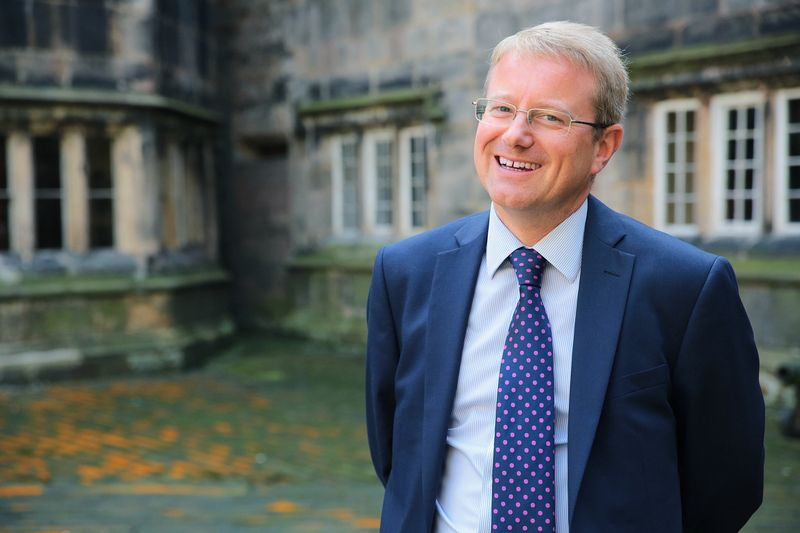 Of course we need to equip pupils to take their place in the world, and to find the kind of employment that best suits their talents, but the present generation of 18 year-olds faces different challenges which demand a different approach. Firstly, the future of work is more uncertain now than it’s ever been. 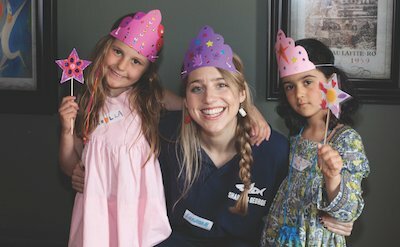 Our children will be employed in jobs that haven’t even evolved yet, and it’s unlikely that they’ll stay within one area of work, or one career. Artificial intelligence is increasing exponentially, and many jobs which are familiar to us now, in many walks of life, may soon be performed by computers. An Oxford study recently predicted that more than 40% of occupations could be threatened by automation over the next two decades. To succeed in this new employment landscape, dominated by artificial intelligence, it’s surely real, human intelligence we will need: emotional intelligence, adaptability, and the ability to respond positively to change. Then there is the creeping threat of fake news. In this post truth era of ‘alternative facts’, we must help our children to make good judgements and to have the ability to distinguish clearly between what is true and what is false. It is vital that we help them to interpret what they see on the internet, and not to accept everything at face value– to be sceptical, and assess the evidence. The consequences of living in a society which has little regard for the importance of truth are hard to contemplate and education has a big part to play in arming our young people against forgery and lies. Stellar exam results are great, but on their own they can do little to prepare our children for these realities. Good study skills and the acquisition of knowledge certainly have their place, but they are really only the beginning. It’s ironic that, as technology improves, and occupies an ever increasing part of our lives, it is human qualities which will matter more and more, since it’s these which set us apart from clever machines. Imagination, empathy, kindness, compassion, perseverance, curiosity – these are the qualities that remain when you’ve forgotten what you learned for those exams. So it is vital that, as well as teaching the curriculum, we help our children to develop these qualities; to be self-starters – independent learners, creative thinkers, team-workers and effective communicators. They will need to be versatile and adaptable in an uncertain world. So how do we develop children fully, so that they can have these essential qualities? In the classroom, we need to go beyond the syllabus and encourage debate, independent research, curiosity and a love of learning for its own sake. Co-curricular opportunities have an enormous part to play, and their place in education is essential, not subsidiary. In music and drama, it takes self-discipline and independence to practise an instrument, or to learn the lines of a play. Having a role in a school production or concert and performing will develop confidence and self-belief. In sport, when you’re 4-0 down with 10 minutes to go, it takes gritty determination to keep going to the end; and if you can encourage your team-mates along the way, so much the better. Then there’s outdoor adventure activities, taking young people out of their comfort zones, teaching them map reading, survival skills and team work. My own sons still talk about their Duke of Edinburgh’s Award Gold expedition as one of the best things they ever did when they were at school – 4 days of navigating their way around the mountains of North Wales in horizontal rain and icy gales can teach us a lot about perseverance and pulling together. Young people need to find their leadership potential; to be proactive, and not passive. A school which encourages its pupils to be adaptable, open to change and to other people, is actually going to enable them to lead rewarding, fulfilling lives. Einstein’s message should be loud and clear: think to learn, but above all, learn to think. With spring on its way, what better time to replenish the book shelves with some fresh new titles. 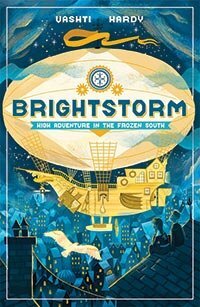 Another cracking story from Alex T. Smith. 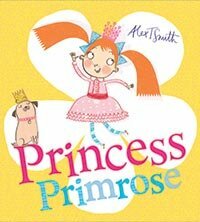 This time in the form of Princess Primrose, who has everything she could wish for – a beautiful palace, two ponies, and a pug. However, being so privileged comes at a price. Rules. And plenty of them, making poor Primrose’s life a misery as she is constantly in trouble. It leaves the king and queen no choice but to call upon the much-feared Grandmama to sort their little darling out. But will she be a help, or a hindrance? This beautiful book is so visually arresting, it will have the most curious of minds entertained for hours. 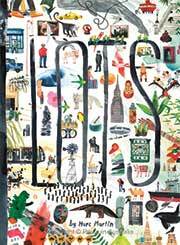 In the words of Marc Martin, ‘Lots is about everything and everywhere’. 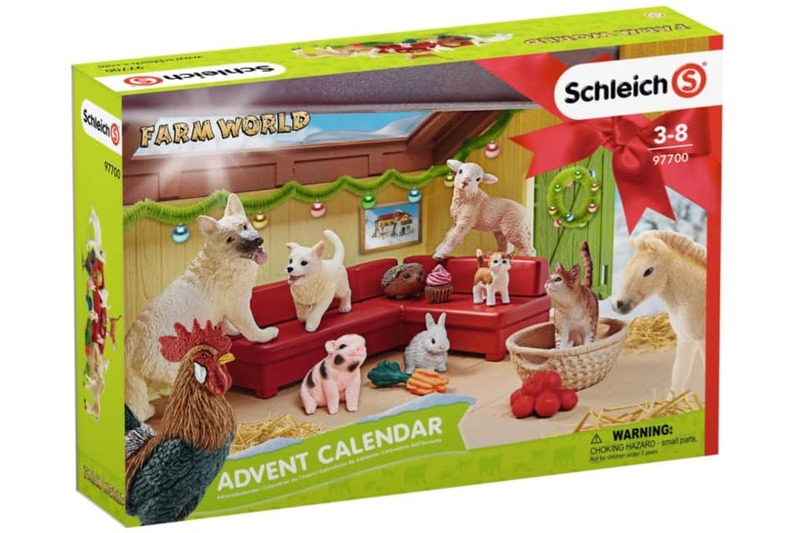 From far and wide – the world is celebrated. The intricacies of the illustrations will have little fingers pointing out the funny and the quirky. A stunning book, guaranteed to be read, over and over. 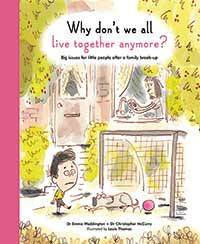 This excellent book tackles the very difficult topic how to help children understand what is happening when parents divorce and how it will affect them. 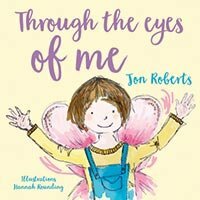 It focuses on questions which a child is likely to ask such as ‘Is it my fault?’ ‘Will I have to go to a different school?’ Illustrated and told from the point of view of a character who is going through the same thing – it’s a good entry point for children and adults alike to broach the subject. 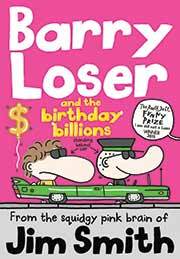 The eighth book in this best-selling award-winning series, Barry Loser is back and this time it’s his birthday and he gets the best present ever – The Shnozinator 9000 – a super cool gaming helmet. That is until his younger brother breaks it. Gah! What to do? Become an inventor and try to make enough money to buy a new one of course. Fans of Barry will not be disappointed – another page turning chuckle-fest. 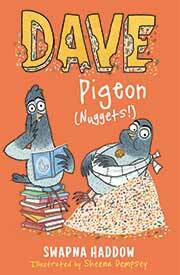 The second instalment of Dave Pigeon’s adventures. This time there’s peril afoot when Dave and Skipper’s ‘Human Lady’ goes on holiday, leaving them with short supply on the food front. They soon find themselves a new owner in the form of Reginald Grimster, who has a very generous feeding habit. But is he all that he seems? And why does he own so many cook books featuring birds? Another hilarious, illustrated tale that will have youngsters in stitches. This interestingly written story will challenge more competent readers. 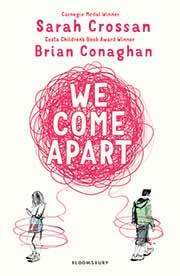 Although written in verse, Crossan and Conaghan met only once, both having been nominated for a prestigious children’s literature award. They collaborated on this novel by sending chapters via WhatsApp. What they created is a beautiful book about two characters, Jess and Nicu. Jess has a lot to hide, and Nicu’s parents want to return to their homeland to marry him off. As the pair become closer, can they survive their secrets? 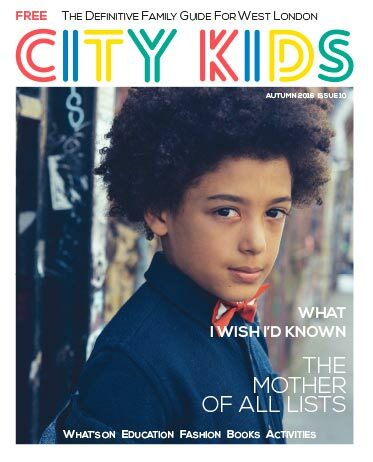 We are looking for someone to join the City Kids family to help grow our ever popular magazine. You will be joining us at a very exciting time as we look to expand our online and print presence. You will be responsible for developing existing and new relationships in various sectors including fashion, lifestyle and education. You will be required to work remotely on a freelance basis with occasional catch up meetings at City Kids HQ. The successful candidate will be someone who likes flexible working, is great at managing their time and who can offer 15-20 hours a week to the role. Ideally you will have previous experience in sales, publishing and the family market, but the job will also suit someone who is self-motivated, persistent and who knows the parent and kids’ market in London inside out. 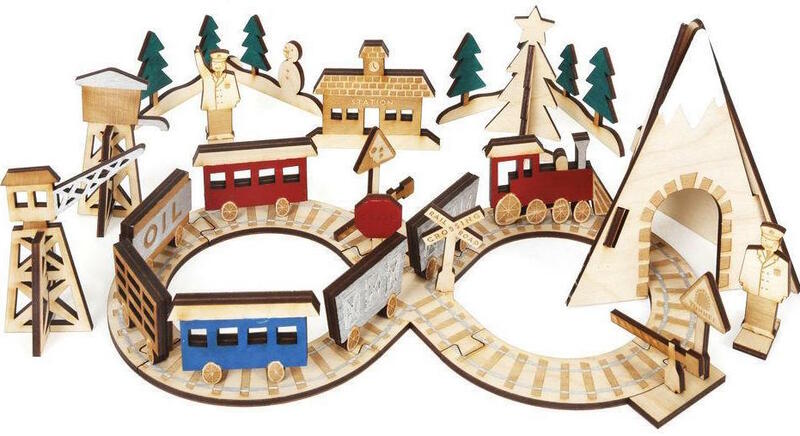 As the nights draw in, try these fun, indoor, at-home STEAM (Science, Technology, Engineering, Arts and Maths) activities. These three simple experiments encourage curiosity using objects sitting around the house. 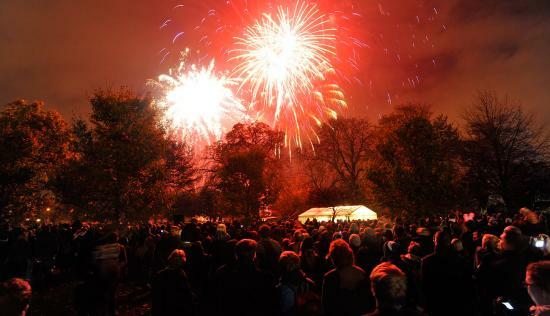 With Guy Fawkes around the corner, you can create your own spectacular display of colour without lighting a single sparkler! Fill the jar with water. Measure out three to four tablespoons of oil (whatever is handy in the kitchen) into the bowl. Add drops of different food colouring to the oil and mix gently with a fork. Then, carefully pour the oil/food colouring mix into the jar of water. The food colouring slowly sinks out of the oil and dissolves in the water, creating a mini firework visual effect. HOW IT WORKS The food colouring dissolves in water and not oil. 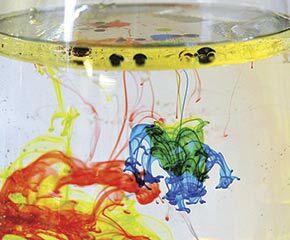 As the oil is less dense than water; it floats to the top; while the droplets of food colouring sink to the bottom; dissolving and dispersing in the water on the way. TOP TIP Food colouring will mix so don’t over-stir! 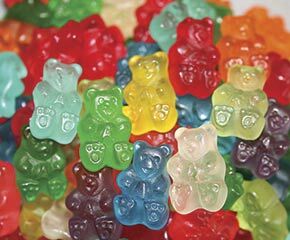 Any gummy bears sweets leftover from Halloween? Prepare to make them grow. Place the gummy bear in a glass or bowl of water. Record what it looks like over time. Leave for four to ten hours. Has your gummy bear grown? HOW IT WORKS The gummy bear absorbs water, a bit like a sponge, through osmosis. Osmosis is a process by which molecules (in this case water) move from an area of high concentration (the glass/bowl) to an area of low concentration (the gummy bear), causing the bear to swell. If you leave the bear long enough it will completely dissolve. Building is always fun; try this nifty little engineering project without the risk of stepping on any blocks! Place two cups on a solid surface and set the sheet of paper on top to build a bridge. Place the third cup on the centre of the paper. Does it hold? Add coins one by one to the balanced cup. Count how many are needed until the “bridge” gives way. 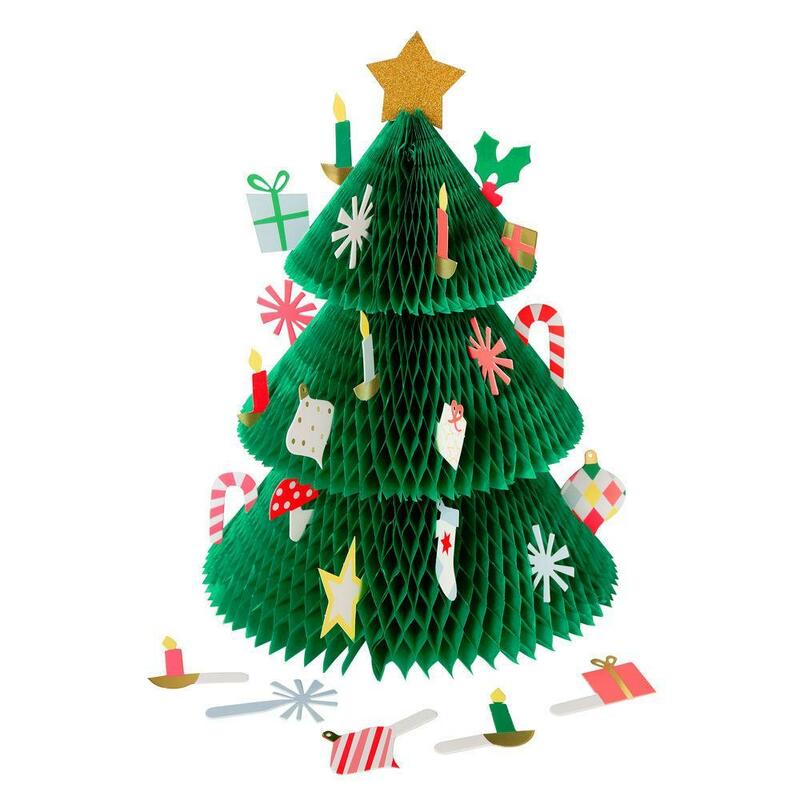 Now take a second sheet of paper and fold it so it resembles a concertina. Repeat the experiment with this piece of paper. How many coins can be added to the balancing cup until the bridge gives way? This is a fun challenge to do with friends. The concertina “trick” will always win. Check out the difference between many, smaller folds and fewer, larger folds. HOW IT WORKS Everything exerts a force, including the cup. The cup exerts a downward force on the flat paper; as it gets heavier with coins, the paper gives way. Folding the paper spreads the force across more paper, allowing it to support more weight than a flat piece of paper. Larger, fewer folds work better than many, smaller folds to support the weight of the cup as it is filled with pennies. Try it and see! 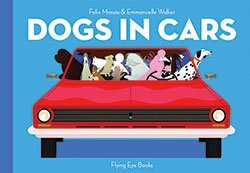 This gorgeous debut by picture book author and illustrator Fiona Woodcock weaves in a lovely theme of friendship and compromise. 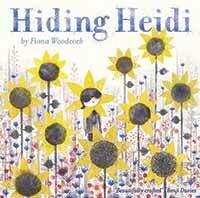 Young Heidi loves to play hide and seek and is the mistress of disguise much to the annoyance of her friends. 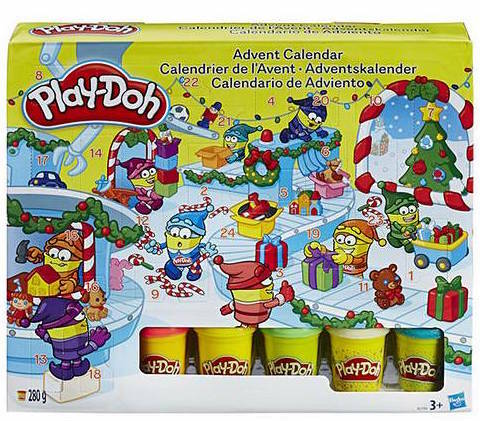 So when she throws a party and decides on the usual party game, her pals search high and low but she’s so good at hiding they continue the party without her making Heidi realise that it’s time to include the games all her friends like to play. 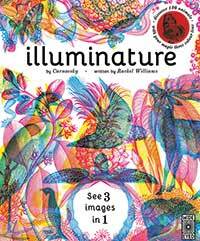 Beautifully illustrated by Woodcock who has worked on animated films, commercials, and West End shows, her whimsical style still packs a punch whilst subtly celebrating the skills that all children possess. 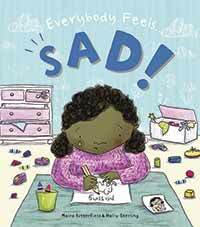 Great for tackling emotions, the Everybody Feels series explore different feelings children may be experiencing in an approachable and relatable way. In Everybody Feels…Sad! the book is divided into two separate stories told from the child’s point of view. One features a girl called Chloe who has lost her toy elephant and the other is about a young boy called Omar whose cat has to be put to sleep. Both stories look at why the characters are sad and how that sadness is resolved (Chloe’s pet is found, Omar gets two kittens), but it also gives brilliant practical advice for parents on how to work through sadness, whatever the situation. This includes tips on discussion points, using art and role-play to help facilitate their emotions. 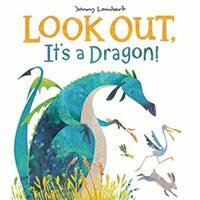 With warm illustrations that bring to life very real circumstances this is a must for helping children navigate the ups and downs in life. 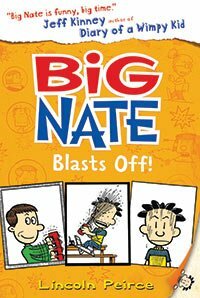 The series also includes feeling scared, happy, and angry. Another stunning book by the uber talented Britta Teckentrup. A joy to read on so many levels it charts the amazing work of the not so humble bee. 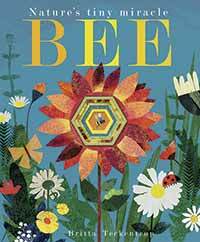 With ever decreasing numbers, this book is a stark reminder of the vital work they do as we follow our bee from flower to flower. Teckentrup’s work is a visual delight and every page features a cut out where you can peep through and see our bee in action. Nonfiction topics are going through a much-needed resurgence and this visually arresting reference book takes the subject of nautical codes to a whole new level and brings them to life. 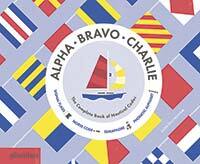 Any child with a love of boats will find this hugely fascinating as it details the phonetic alphabet, morse code, flag meaning, semaphore facts about a variety of boats. I’m not sure how handy it would be knowing the ‘Keep clear of me: I am engaged in trawling’ flag will be on a day trip down the Thames, but there is plenty of flags which could be made on a rainy day to reenact any given circumstance. One for geeky girls and boys who loves facts and hand signals. Everyone can relate to writing a story and not finishing it – imagine if that story held the clues to a mystery. That’s the premise of this gripping drama written by the award-winning Michelle Harrison. When Alice goes missing, it’s down to her brother Midge to find her. But where to begin? When he discovers a novel she hadn’t completed, The Museum of Unfinished Tales, it’s down to him to uncover the clues and track her whereabouts. The problem is the villains in her tale have come to life and are loose in the town. 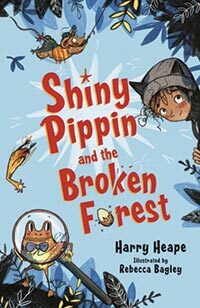 Can Midge and his friends Gypsy and Piper (also characters from the story) find Alice before it’s too late? This is a genuinely, page turning read. 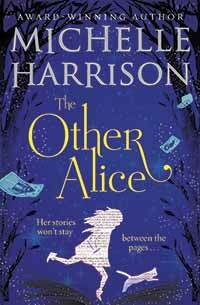 Harrison keeps the story moving on at a fast pace, there’s also enough intrigue and suspense by the bucket load. Plus, there’s enough magic realism to add another layer of interest. A cracking read. For those young adults who are socially aware and politically-minded this collaboration between Amnesty International and Walker will be just the ticket. 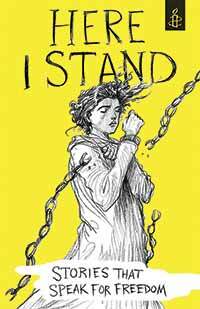 Written by twenty-five celebrated authors and illustrators including Neil Gaiman, Matt Haig, Sarah Crossan, Chris Riddell and Frances Hardinge, this collection of stories and poems keeps alive the debate around human rights. 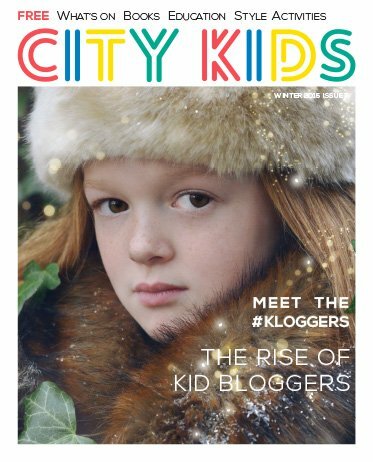 2016 is all set to be a fantastic year for City Kids Magazine. We’re doubling circulation, covering new areas and enjoying the growing support of many families in West London. Here’s a little video of our Story So Far. We hope you enjoy it. If your child is curious about science, or in fact, if they find their school classes a touch dull, then why not seek out a place where they can get involved in real life experiments. Every Saturday, Richer Education runs workshops in science, robotics and civil engineering, taking their learning to the next level. 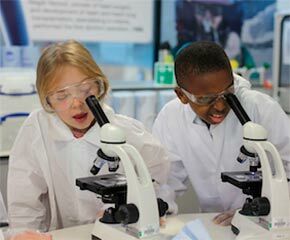 Courses take place at Imperial College and each workshop is designed to inspire and motivate primary aged children into learning about science in a hands-on, practical way. A typical science workshop might be anything from dissecting a real heart, turning wine into water, to literally holding fire in their hands. In robotics, children can learn to write code, build a robot with robotic arms, that can grasp objects and how to synchronize multiple robots to make them dance. In Civil Engineering, children learn to find solutions to real life engineering challenges, in a child friendly way. Science Saturday workshops are 9.30 – 11.30, whilst Robotic Saturday workshops run from 12-2pm, and Civil Engineering classes are at 2-4pm. All classes take place at Imperial College. 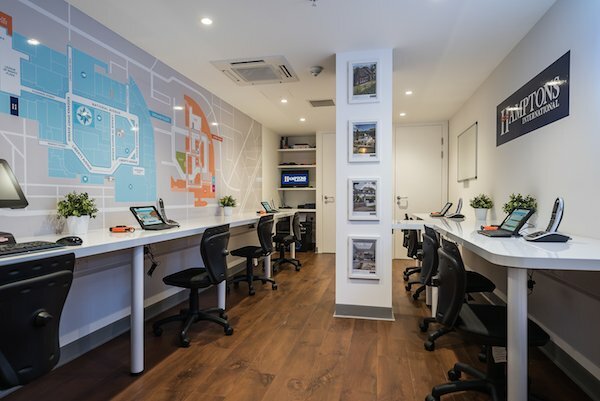 Eight year old Max realised his dream of becoming an estate agent, as he officially opened Hamptons International’s latest branch at KidZania London. He was invited to open the branch and became its first ‘Junior Estate Agent’ after sending the company a letter asking what qualifications and skills he needed to enter the profession saying “I really want to do this job when I grow up”. 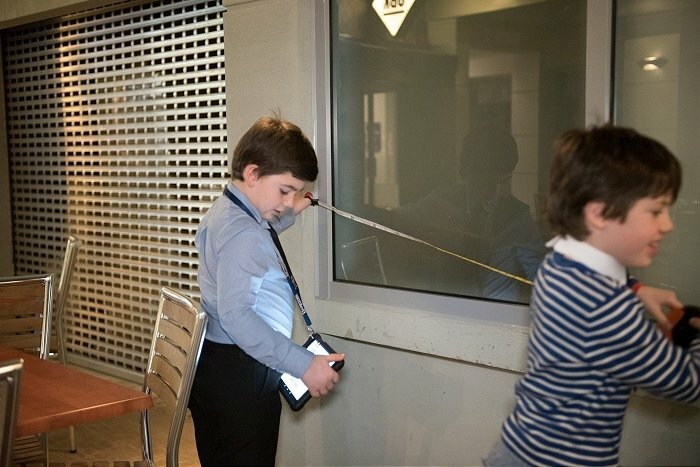 He was invited to cut the red tape alongside KidZania London’s mayor, and went on to make his first sale within the concession. KidZania London is the UK’s first educational entertainment experience which aims to offer real-life work experiences for 4-14 year olds. You have to see it to believe it. 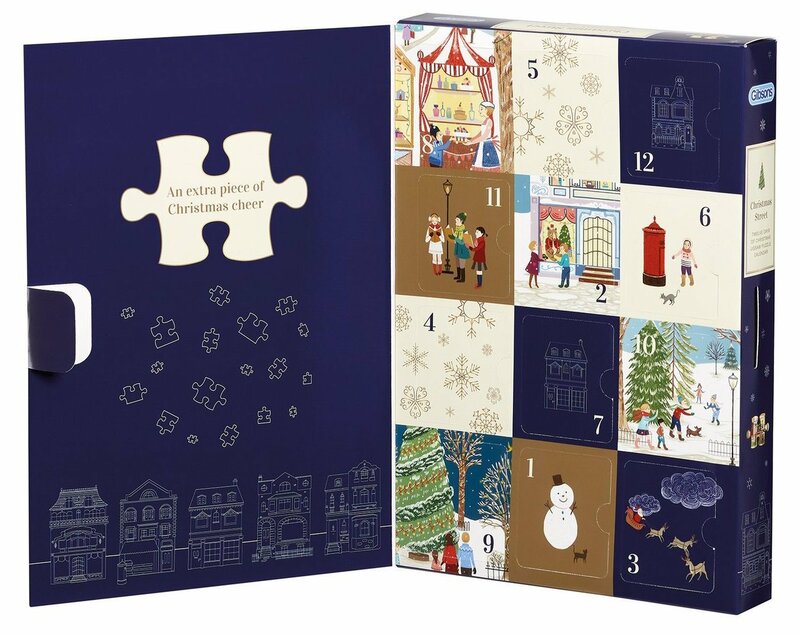 Hamptons International is just one of several global brands including British Airways, Renault, H&M and Cadbury’s which gives children an insight into how their industry works. 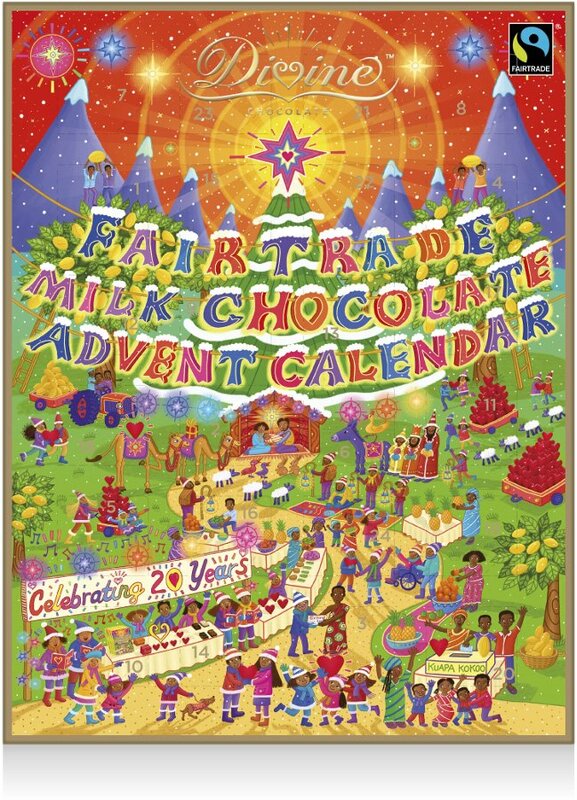 As my husband reminded me on the way to Berkshire, you really can’t afford to get it wrong with kids and Christmas. The stakes are high for Lapland UK, but all bets are off. 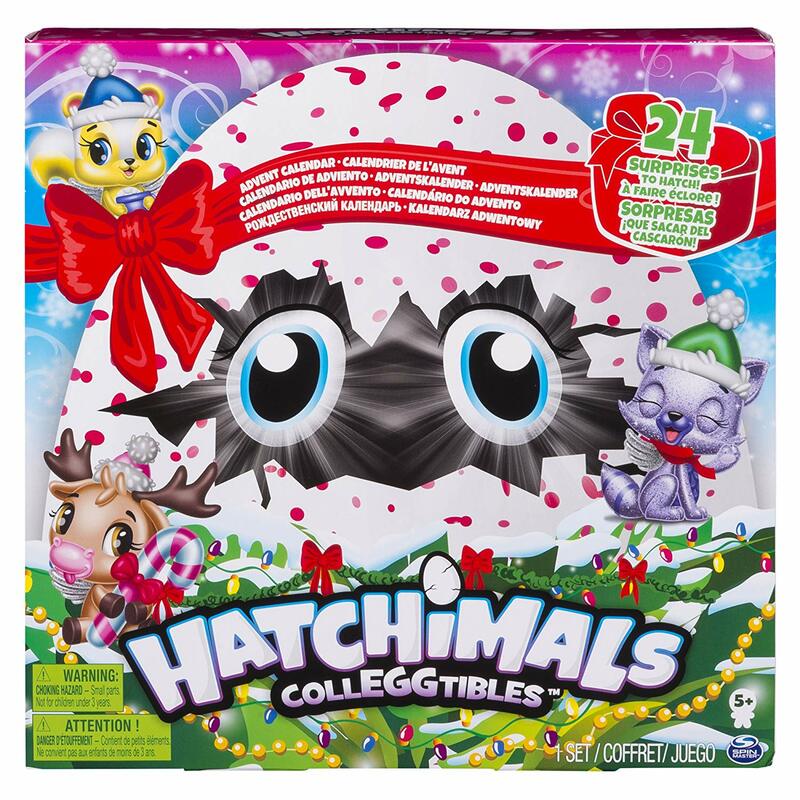 This is, hands down, the best Christmas experience the kids have ever had. In true Evans style we were late following a minor detour to The Royal Berkshire Golf Club…no matter. The friendly elf on reception immediately set the tone for the afternoon’s experience – full immersion in Elf–talk, magic and imagination. 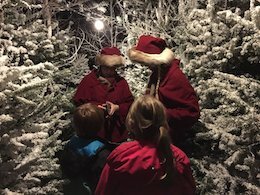 The kids, now armed with their own Elf Passports, were excited even before we were ushered to the cosy, warm yurt-style tent, complete with sparkling fairy lights, a leafy canopy and elf performance. We learned how to perfect an elf wave before the door to The Enchanted Forest was opened. 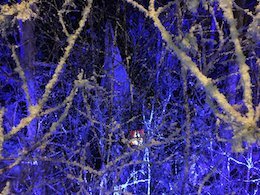 A world of white, snow encrusted pines was revealed, and the excitement ramped up a gear. Our elf guide was taking us to the toy factory where the kids learned how important it was to help Father Christmas this year as the Good List is very long. 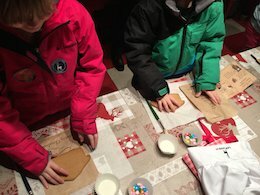 They made a wooden horse and a soft, plush Rudolf (both of which are available to buy at The Emporium later) before the next adventure to meet Mother Christmas in her kitchen for a spot of cookie decorating. 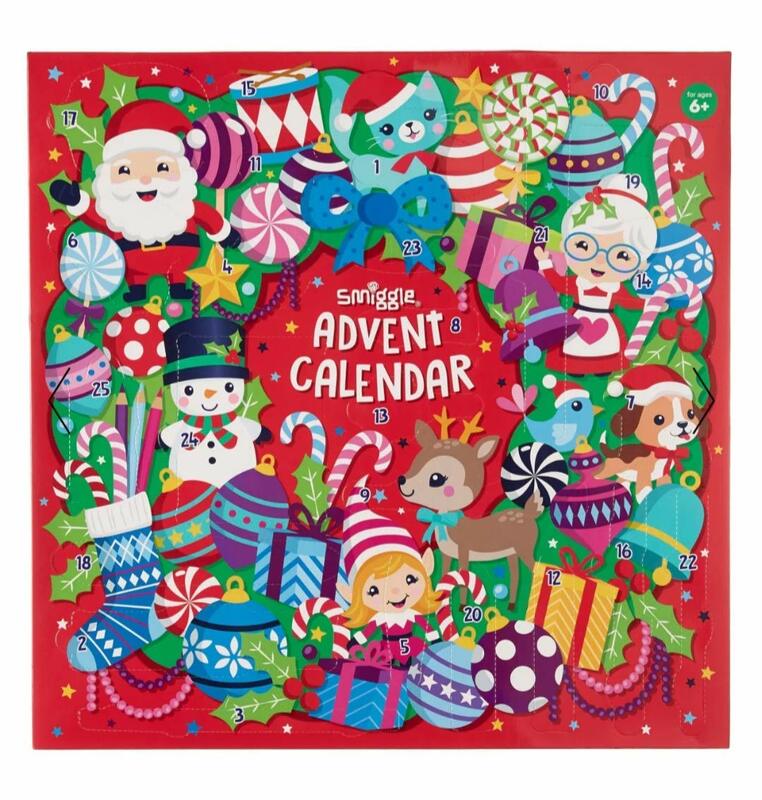 It turns out Father Christmas is a gingerbread addict, so Mother Christmas warned the kids to keep their gingerbread houses safe. Elves, being very hospitable folk, also made sure the grown-ups were kept fully charged with a cookie. Nice touch. 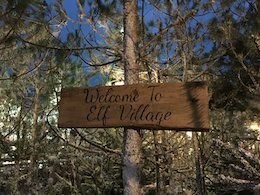 The next trail took us to The Elf Village where the kids were free to ice skate, meet huskies, have a reasonably nutritious meal and then go wild in the toy and sweet shops. 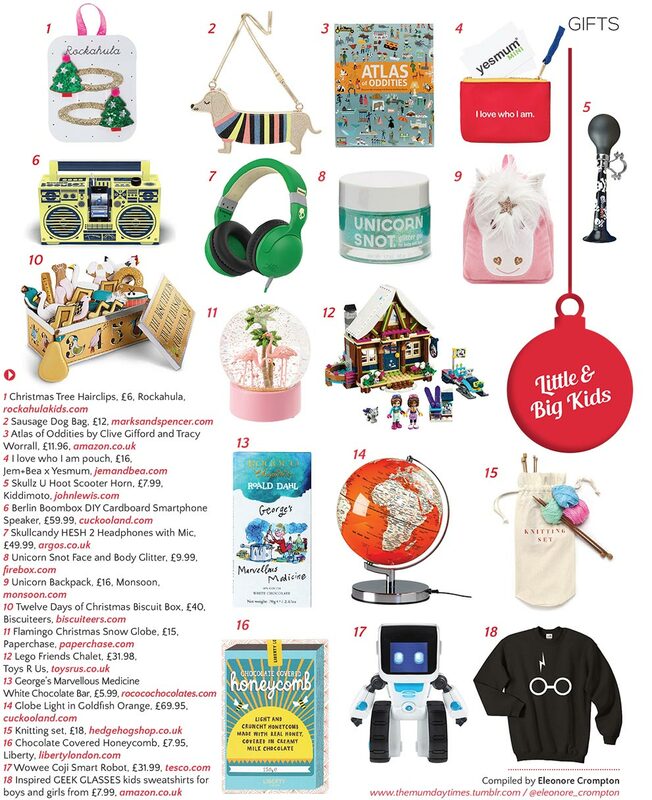 I’m always a bit bah humbug when it comes to merchandising at large kids’ venues, but The Emporium was at least tasteful with a variety of gifts at a variety of prices. It also didn’t feel too busy which makes a change from the usual Christmas crush. Then it was time to meet the big man himself. While the rest of the afternoon had been shared with a group of around 50 adults and kids, this was a moment just for us. 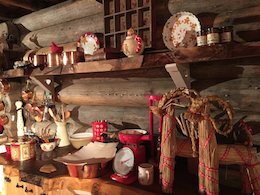 After checking in and a quick run-through of the personalised information we’d sent a couple of weeks earlier, two elves escorted us to Father Christmas’ wooden cabin, where we could hear him sleeping. 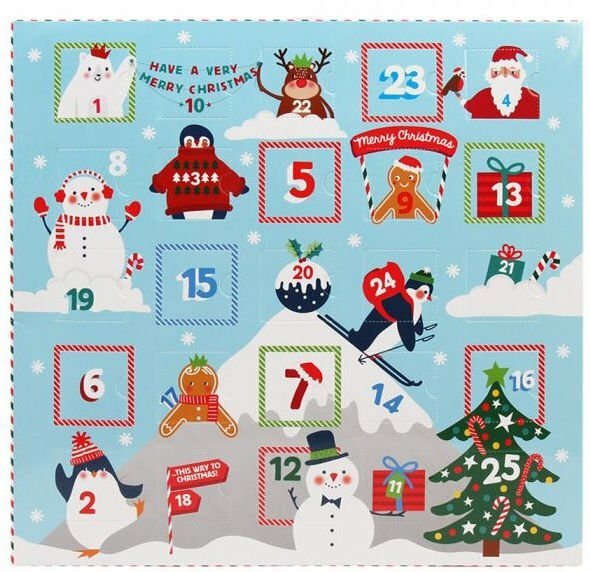 When you have a nine-year-old constantly being told by her friends that Santa doesn’t exist, a trip to Lapland UK could seem pointless. But…let me tell you, the look on both my kids’ faces when they met him was an image I will remember for the rest of my life. 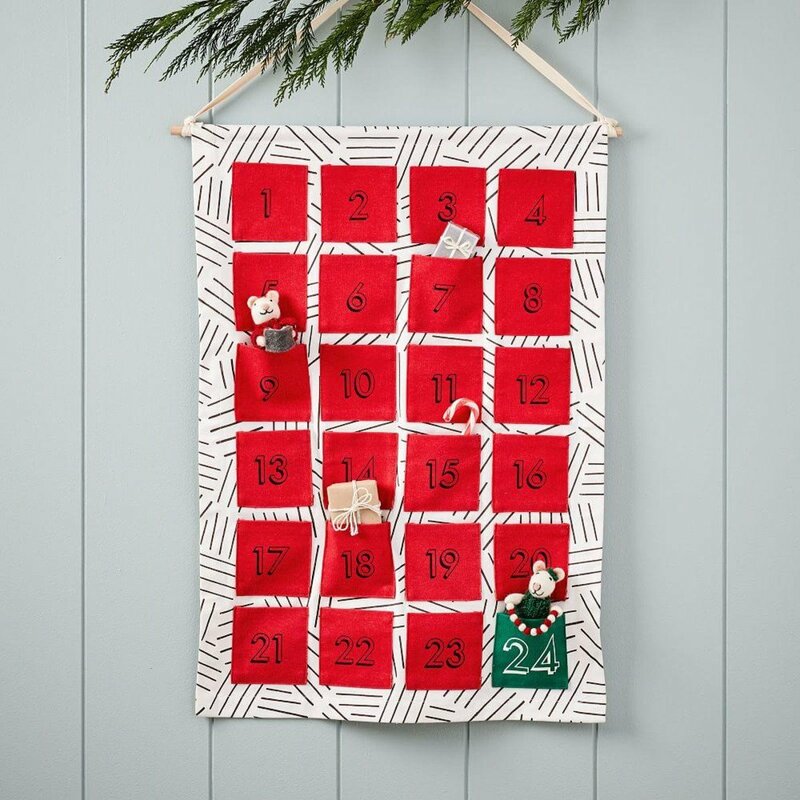 The kids hung on his every word and they were both gobsmacked to be sat in the same room as him – how did he know the name of my daughter’s best friend and that she’s just mastered long division? How did he know that my son’s best friend is his daddy or that his favourite iPad game is Terraria? 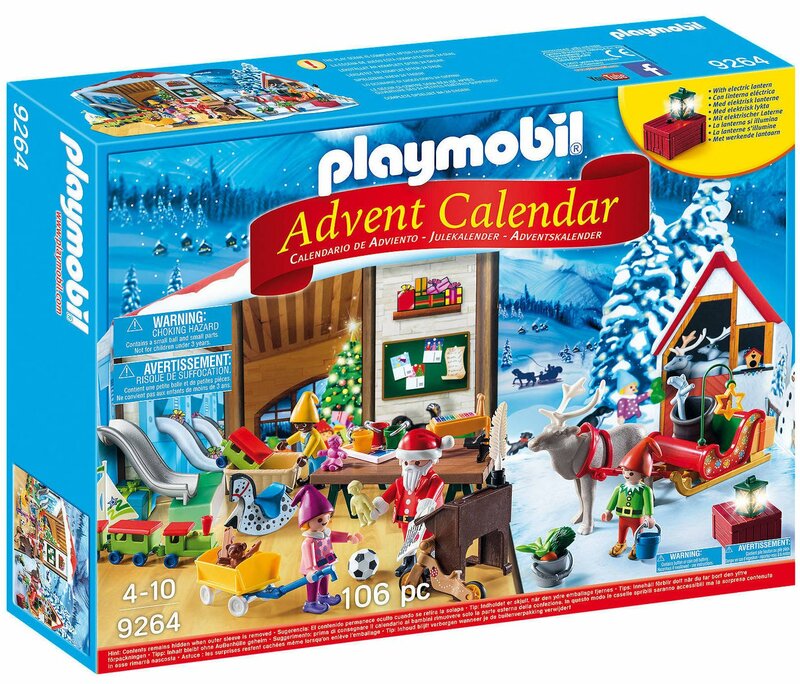 Of course, Father Christmas wasn’t going to be able to pull Lego Star Wars or cameras from his sack, but it wasn’t filled with naff plastic toys from Poundland either. With a new husky soft toy in hand, the kids emerged, totally wowed by what had just happened. All that was left was to purchase our family photo (this will be the only moment we all believe at the same time) before heading off into the night, full of excitement for the month ahead. 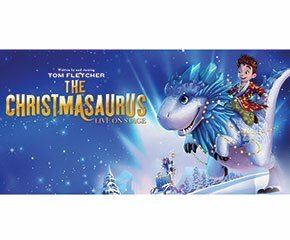 We took a six and nine year old who still believe, but I’d stick my neck out that even non-believers would leave Lapland UK with an inkling that Father Christmas exists. “It’s the best place ever! I loved it! I didn’t want to leave! It’s soooo magical, we actually saw Santa’s sleigh and reindeer. We built toys with elves and made a gingerbread house with Mother Christmas. I LOVED meeting Father Christmas, he gave us a cuddly toy. He also showed me that I was on the good list!” Isabel, 9. “I ice-skated and two elves could turn around! I saw Santa and he gave me a free present. He was really wonderful. I went to Pixie Mixie the Elf’s sweet shop. It was really yummy!” Lucas, 6. Woo hoo! Not that we’re excited or anything, but we’re delighted that Sharky & George have joined the team here at City Kids HQ. Over coming issues, they’ll be sharing their wealth of experience in the party world, and boy, do they know how to put on a good do. Until next time, here’s a taste of what they’re all about. Charlie: We did one this summer, which was about books and literature. It was mega! 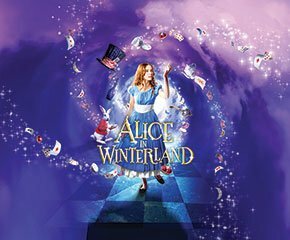 George: We created five different worlds – Neverland: with tricks, potions and smoke bombs; Narnia: with access through a cupboard door, a big snow machine, and lots of snowball fights and ice sculpting. The other worlds were Charlie and the Chocolate Factory, Alice in Wonderland and Harry Potter. We told the children they were going to play quidditch, so they had to keep an eye out for the golden snitch. When the golden snitch came out, they had to wrestle him down. 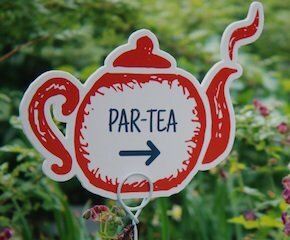 To finish off, everyone came through to a Mad Hatters Tea Party, which was awesome! C: I don’t think we’ve ever said no. George is awful at saying no. The only thing I can think of was when a father wanted his son to parachute into his party, but that was on a health and safety grounds. The boy was eight or nine so we put him in a gyrocopter instead. 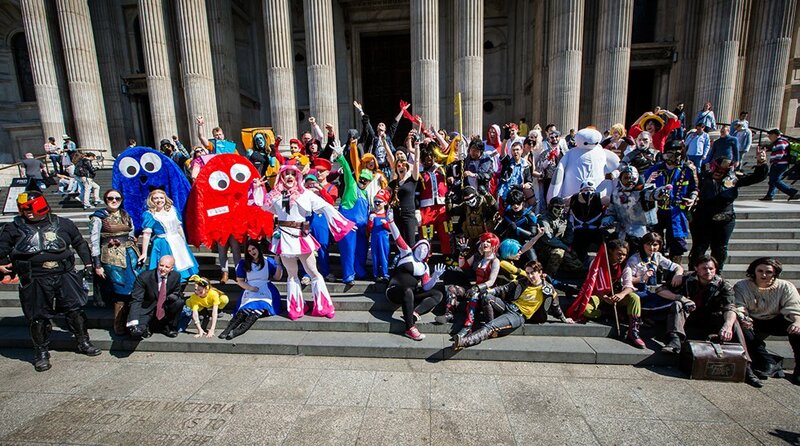 G: We don’t normally do much dressing up, character stuff. We’re more like two older brothers who turn up and do a couple of hours of really active games. We’re planning bigger and bigger parties such as big laser missions which we’ve developed for slightly older children. We are also doing more corporate work, so we’re more involved in party development. G: I’m not sure either of us could claim to have a specific skillset at all! C: Imagination and immaturity is probably our main skillset, and continuing to enjoy it. C: Mine were pretty bog standard. Very much bouncy castle and traditional party games. There was always an entertainer. 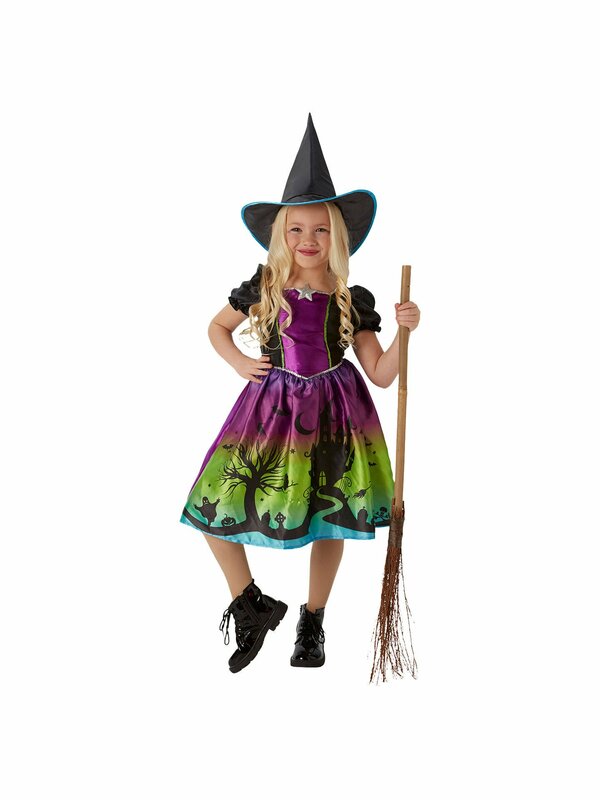 G: My eighth birthday was different as my dad is a chocolate maker. I was allowed to invite about 15 friends to the factory and Dad took us around. We took things off the machines as they went past, which was really cool. At the end, everyone was given a plastic ice cream tub and pointed to a tap; we filled it all the way up with chocolate to take home. 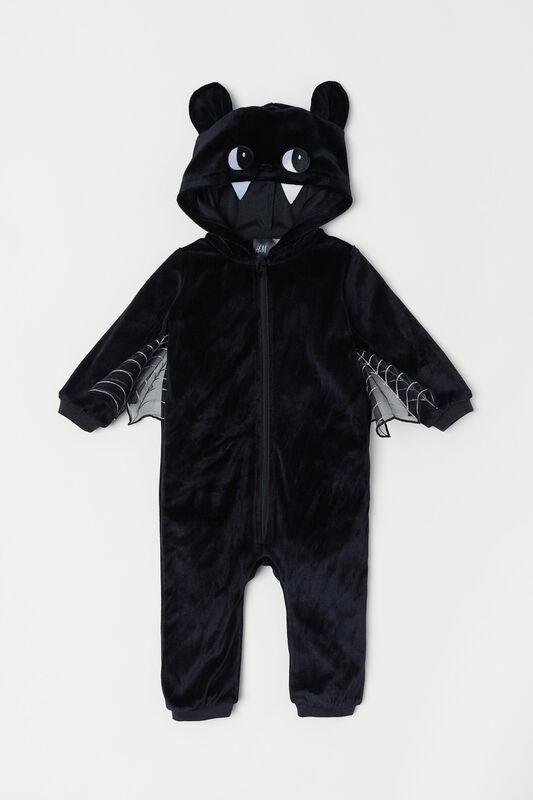 G: This one will be it. It’s my parent’s 50th wedding anniversary and they’re taking all of us to a hotel in Dorset, right on the beach. Top of the list is a swim in the sea on Christmas Day and a lot of eating. C: I’ve just married a New Yorker so I’m going to New York for Christmas. Bit worried about the lack of Coleman’s bread sauce so I’m taking some packets in my suitcase. G: Mine last year was to say “no” at work; I think it worked alright for the first month or so. C: We’ve launched Partner in Crime, which is our word for nanny. G: This initiative was born from our clients ringing up to ask whether Tom, “who did our party last month”, was free to join them on holiday for a week to just do cool stuff. Or both parents are at work and the nanny’s ill, could he take the kids skateboarding. C: We have all these guys who are trained to do awesome parties. We know they’re fantastic with children, and we know that they’re responsible, cool and fun. G: I don’t really do tricks. C: Speak for yourself! I can walk over you on my hands, which I’ll demonstrate later … George and I used to have a sort of breakdance routine. G: We used to do quite a lot of fire spinning and fire poi. We did have quite a few hair on fire moments. C: I’ve never quite grown up – I like doing back flips. Normally into water. I didn’t want to get this out, but a journalist did ask what my party trick was … [shows a video on his phone of himself doing a back flip on a trampoline]. About World Records [Charlie once held the record for the fastest pantomime horse] C: Some annoying Commonwealth Games runner beat it – I refused to read about it. G: We broke one this past summer for the biggest game of stuck in the mud. We broke the record with 472 people playing at Thomas’s Fulham, so that was fun. West London born and bred, he has come a long way since his dysfunctional school days. 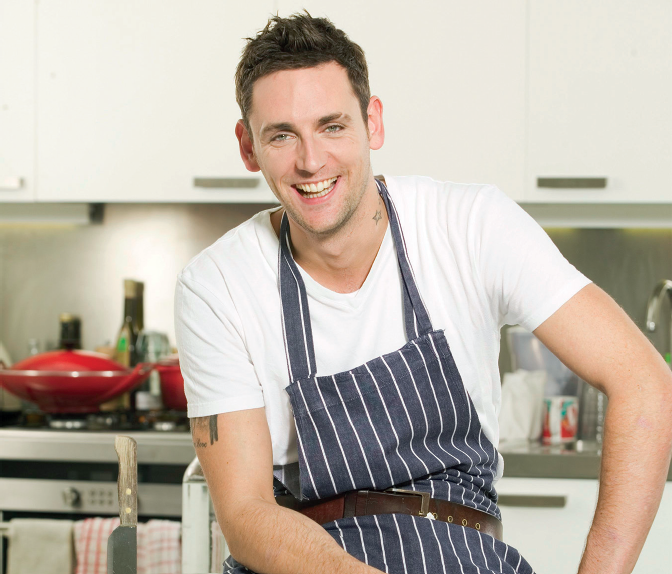 discovered by Jamie Oliver at Fifteen, he now presents the BBC’s Junior Bake Off and will be appearing at The Cake and Bake Show in October. I wasn’t very good at school. I was talking to my daughters who love school and they asked what my last day was like, but I don’t think I even turned up! Because I have dyslexia, I couldn’t get on at school, they thought that I was being disruptive. I had a good time with my friends but academically I couldn’t do it. It changes you, you become more responsible, more punctual because you have to be on time and you have responsibility in the kitchen. You have to clean up as a person and become organised. It gave me a career where you can work anywhere in the world. He has a lot of energy, he’s honest, and there’s never been a scandal with him. He’s a good guy, a hard worker and he cares about people and issues so he puts everything into it. He’s a person to look up to and a good role model. If I hadn’t got into cooking I wouldn’t be doing tv. I have two different lives, and I’ve been around the world – I’m pretty lucky. I’m flying to the Philippines shortly to film The Amazing Food Challenge for the Asian Food Channel. It’s like Masterchef but with lots of adventure. really did baking with us but now they just know what they’re doing. They’ve got their own recipes – it’s really impressive. We like to go for a bike ride by the river from Putney to Barnes or we’ll spend time with my sister and their cousin with a take away and movies. I’m away so much that I like just spending time with them and catching up. I’d invite UB40, Bob Marley, Ricky Gervais, Chris Martin and probably Jennifer Lawrence. We’d eat a roast leg of lamb. I love to grab some Ochi at Shepherd’s bush with my daughters. If I was looking for a restaurant, I like Italian, so I’d go to La Famiglia in Chelsea. I’m doing an interactive class, where I’m making Portuguese tarts; on the Live Stage I’ll be making a lemon curd tart, and I’m also doing a Masterclass for Cannoli and Chocolate Marquise. Aaron has kindly shared one of his recipes with us. A cauliflower creme brulee probably wouldn’t be top of my list but got to be worth a go! 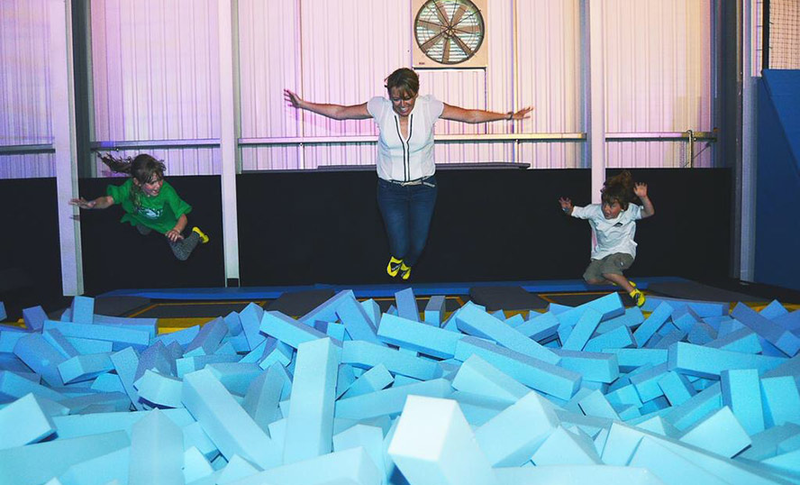 City Kids Magazine readers will get 20% off bookings at London’s first trampoline park. There aren’t many families in London that don’t have a trampoline in the back garden (although we happen to be one of them). 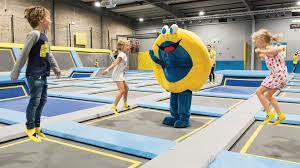 So if you want to take the kids to a trampoline park, it’s a trip to Guildford or Milton Keynes – until now. Oxygen Freejumping opens today in Acton, with 150 trampolines, quite literally wall-to-wall. 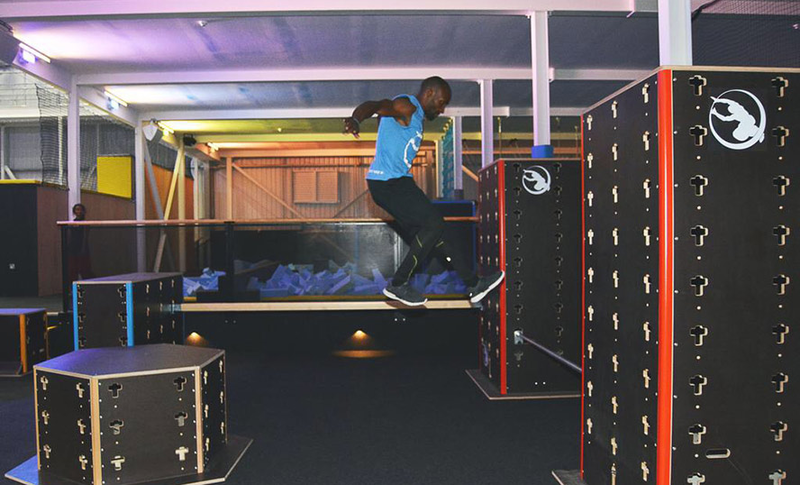 London’s first trampoline park not only provides hour-long freejump sessions for £12.50, there’s also an obstacle course, dodgeball, Family Bounce (no escape mums and dads) and fitness classes. Those who fancy taking their skills further can have tuition or join the Trampoline Academy. And for those difficult teenage years, there are Teen Takeovers, which include a DJ strobe lights and banging sounds. Sebastien Foucan has also relocated his Foucan Freerunning Academy to the Acton site with his holiday clubs starting today. Parties will be a winner with parents all over London; corporate team building days can be catered for too. But if you’d rather relax, homemade pizza, wifi and a good brew should keep you happy. Oxygen Freejumping gets the thumbs up from City Kids, who did their first somersaults within minutes. As you can see, I’ve done my bit for the cause – a cappuccino is waiting for me on the mezzanine. All bookings can be made online at oxygenfreejumping.co.uk.